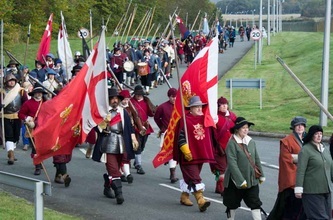 A great turnout for the March and Service, probably the largest for a number of years, so thank you to all those who made it. 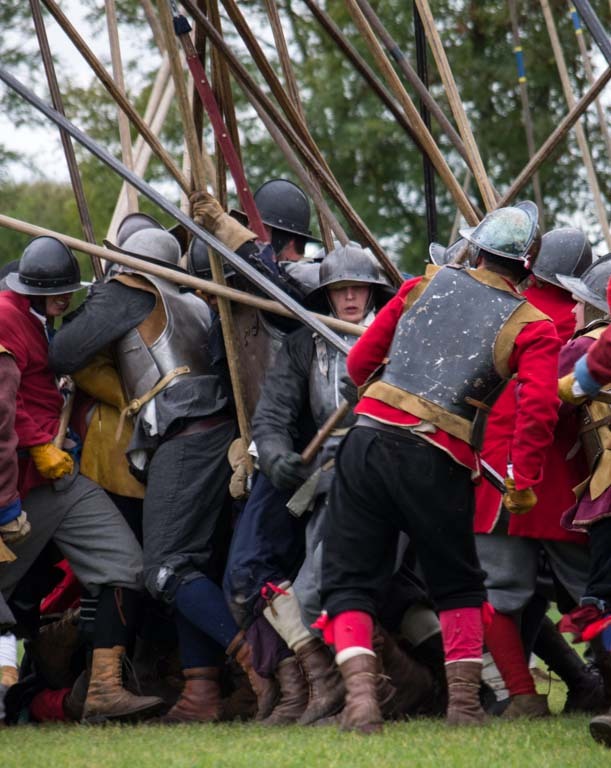 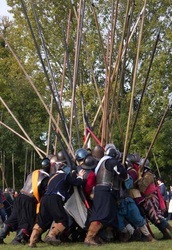 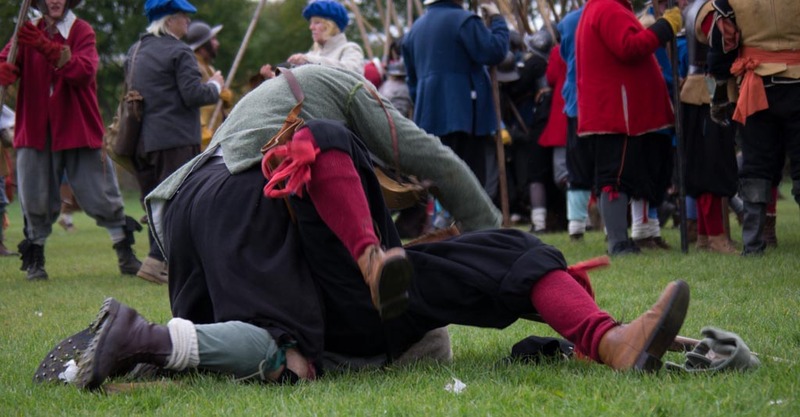 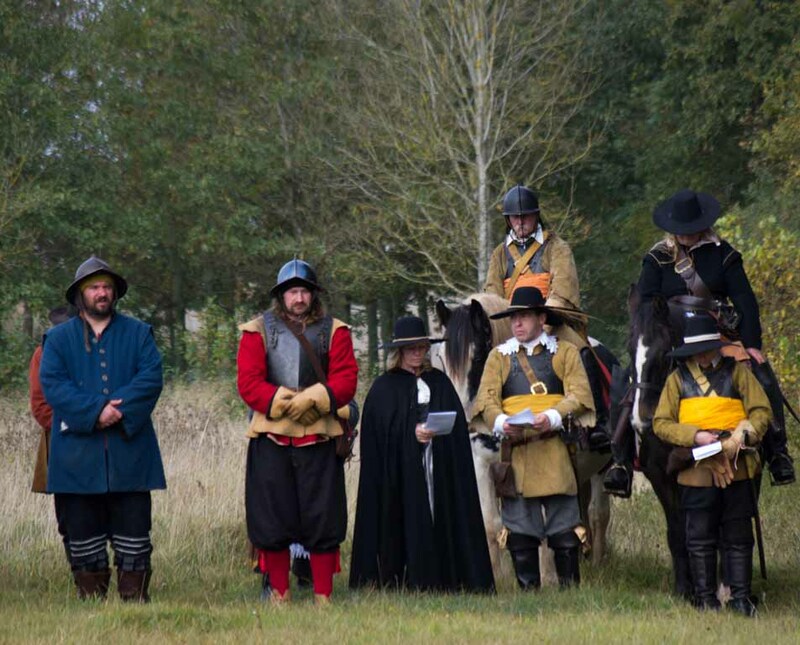 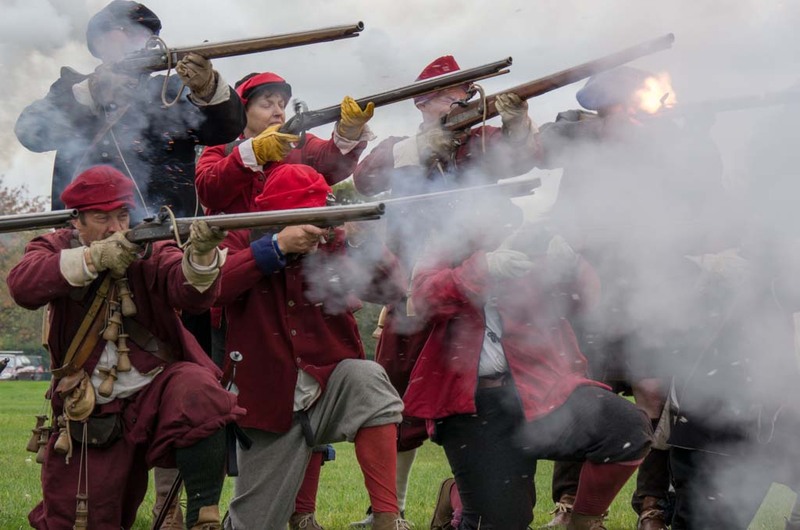 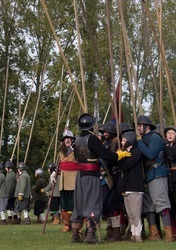 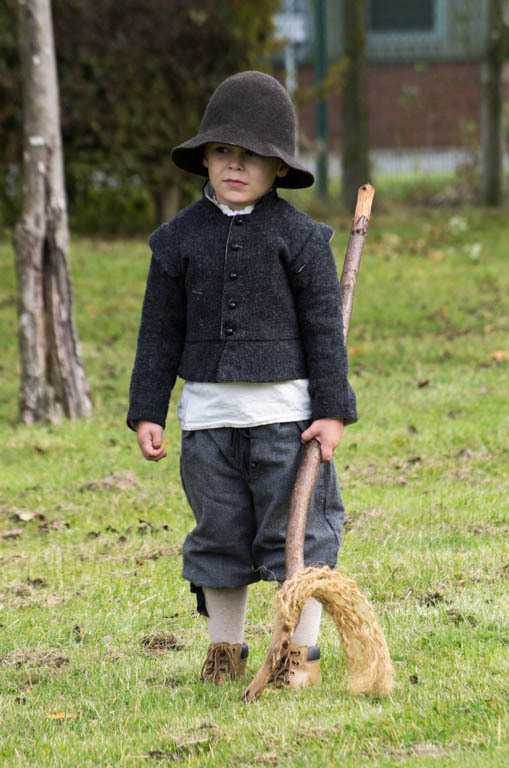 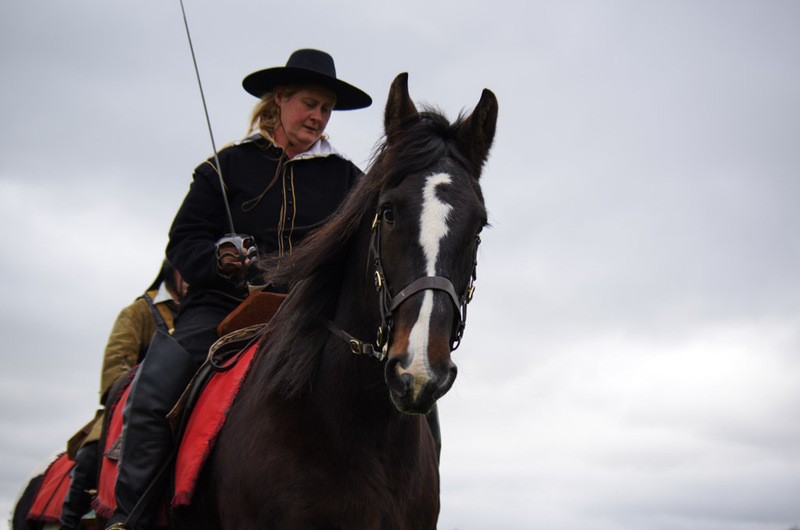 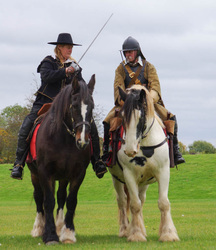 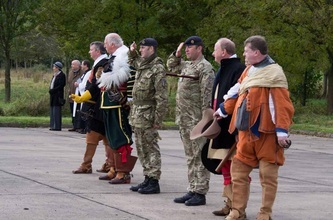 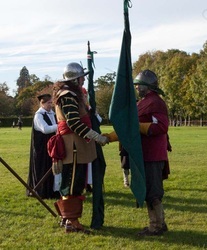 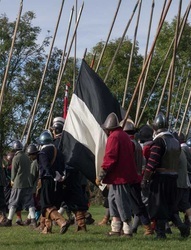 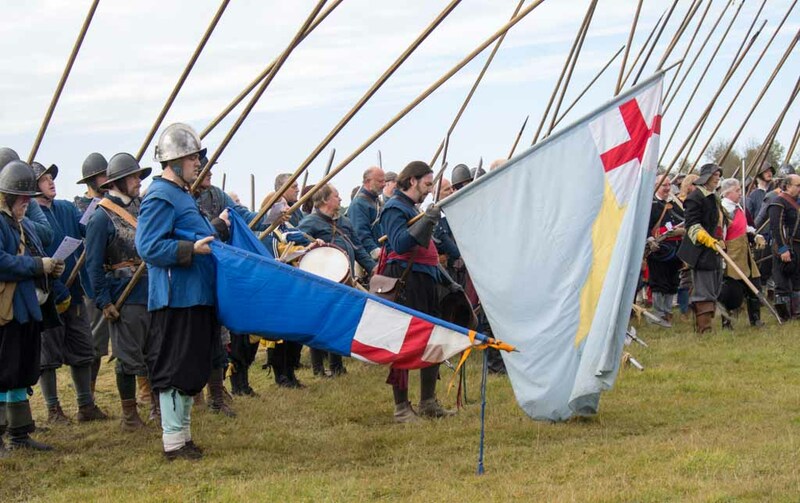 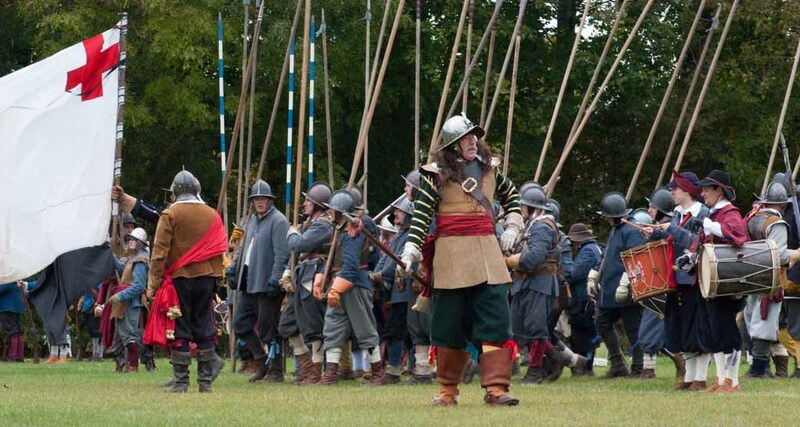 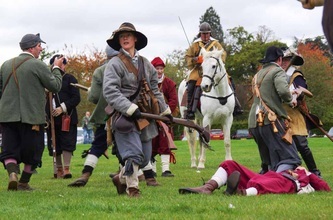 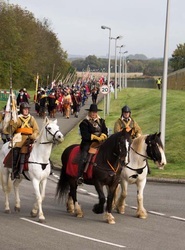 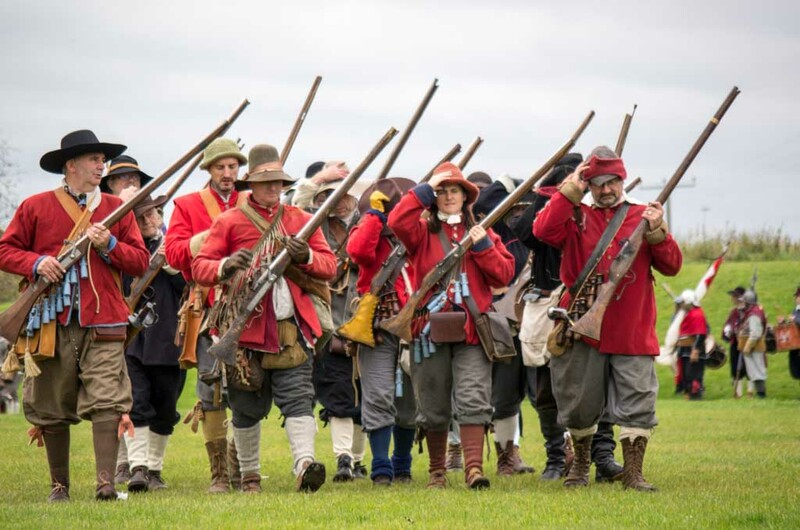 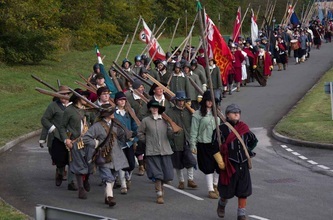 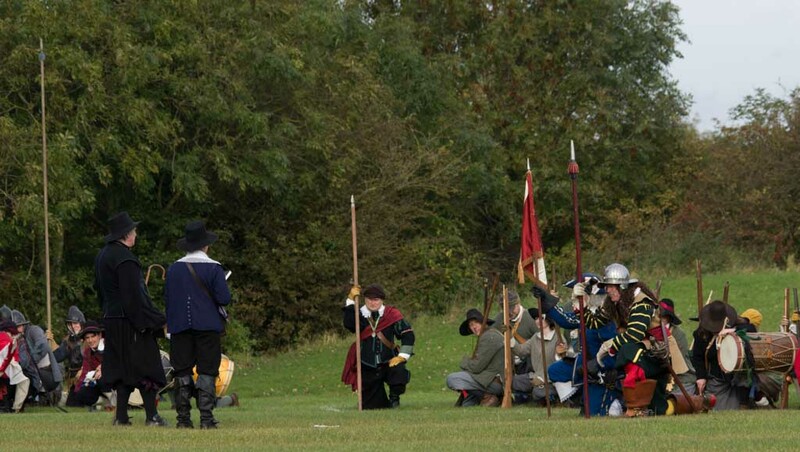 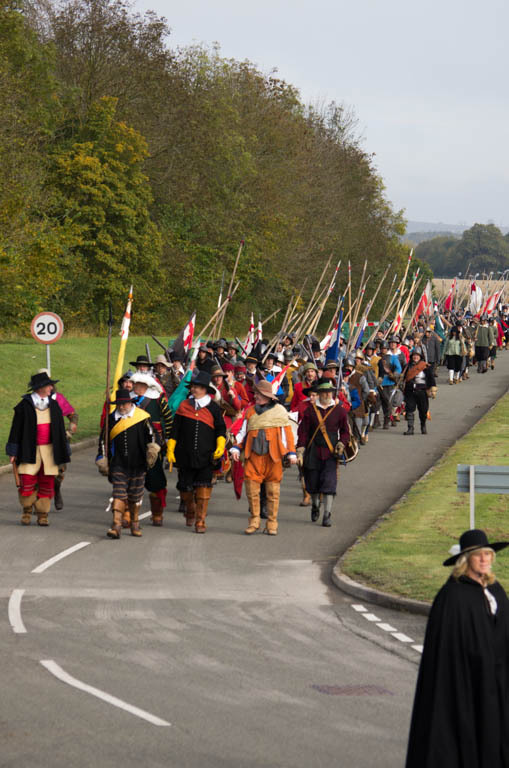 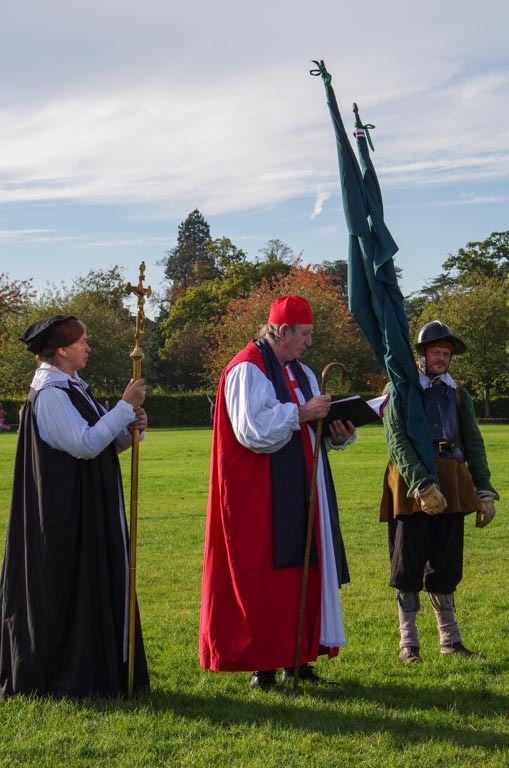 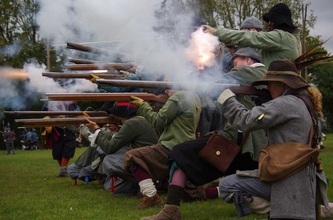 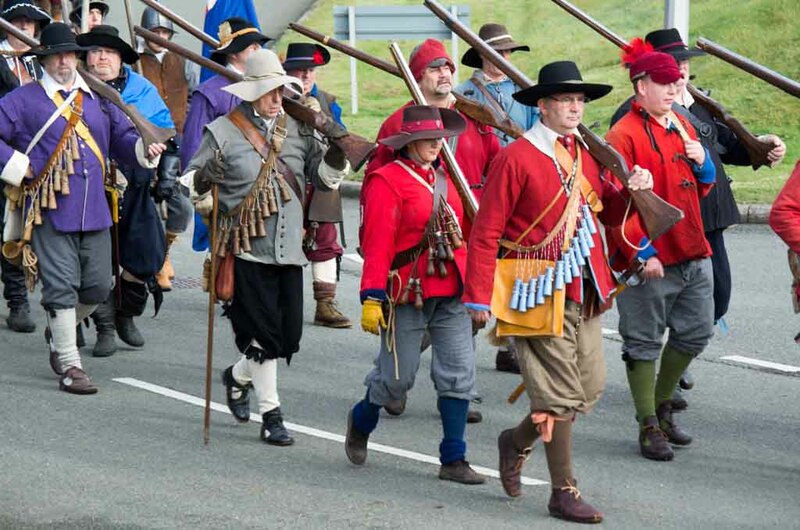 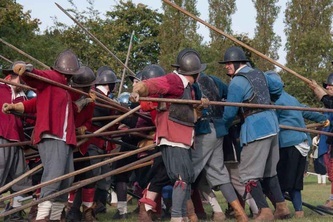 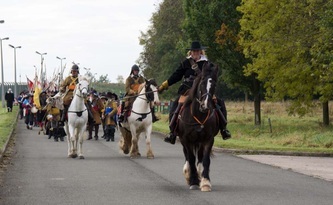 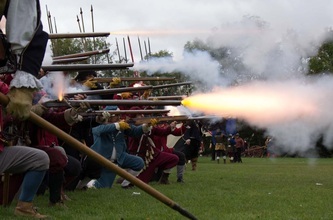 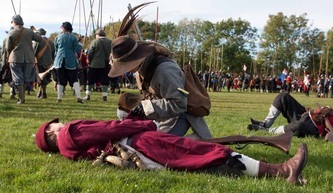 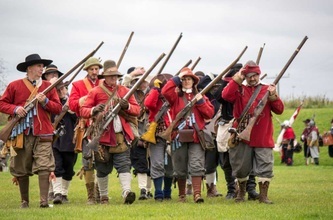 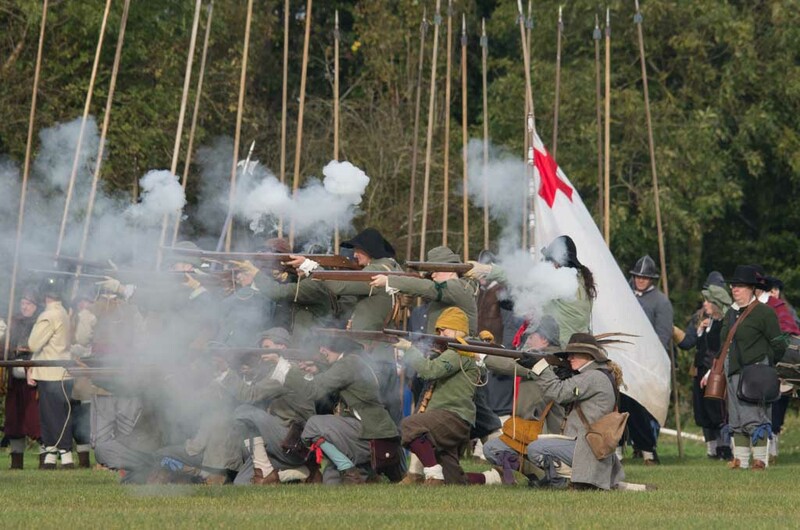 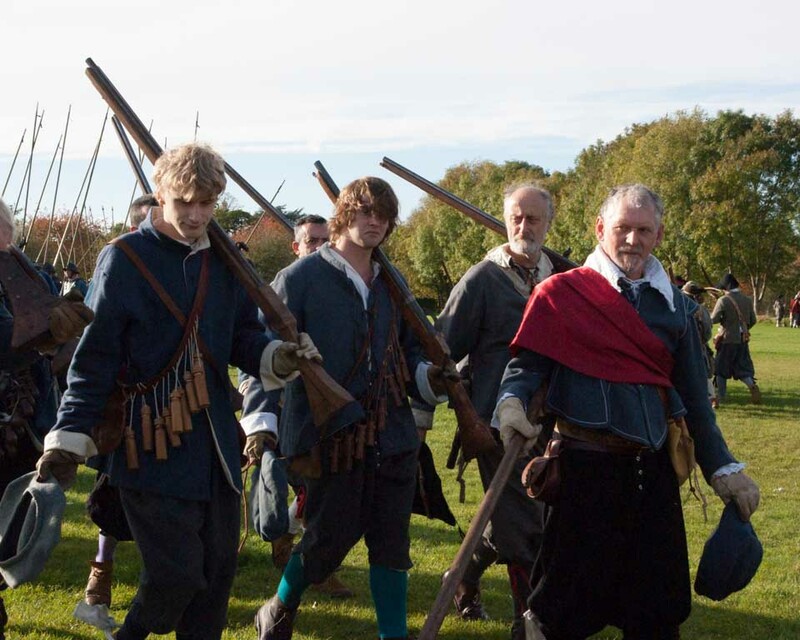 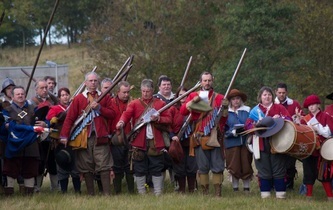 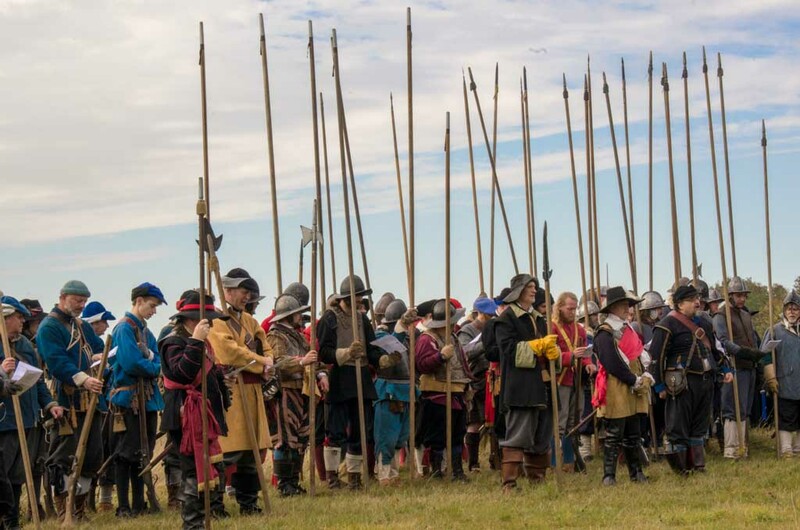 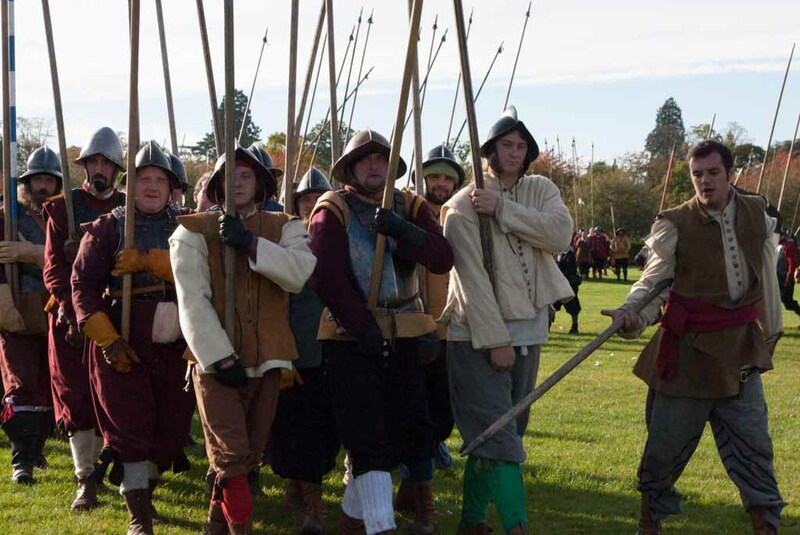 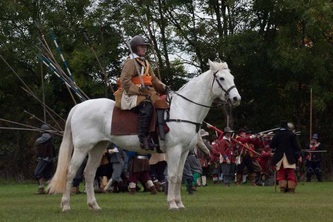 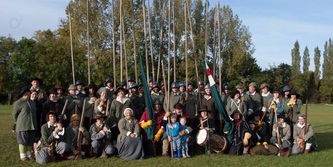 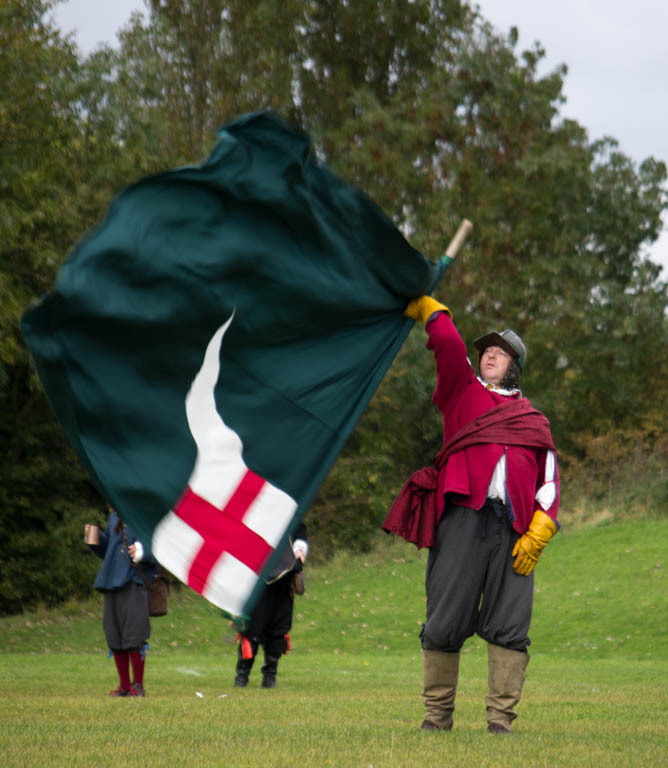 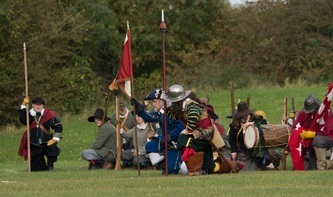 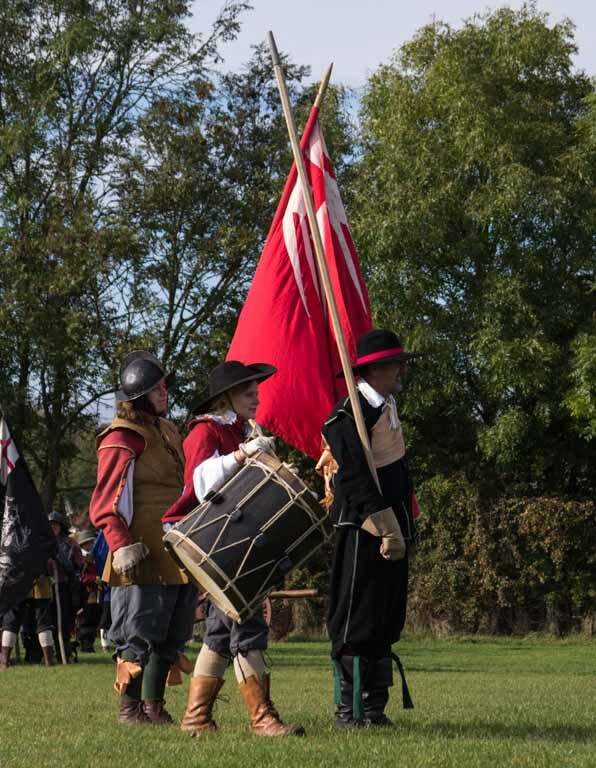 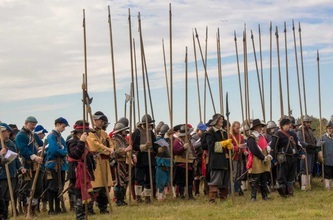 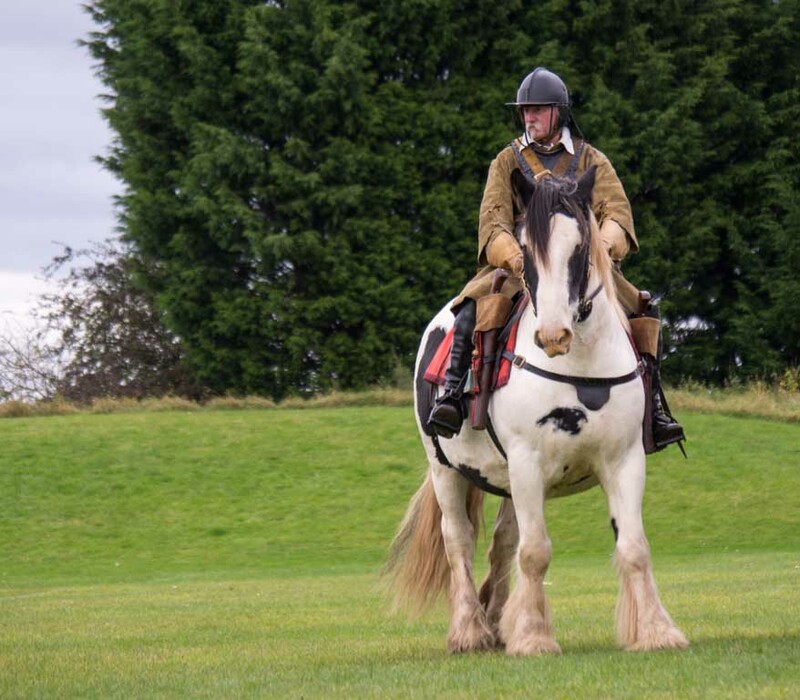 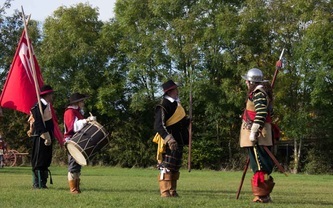 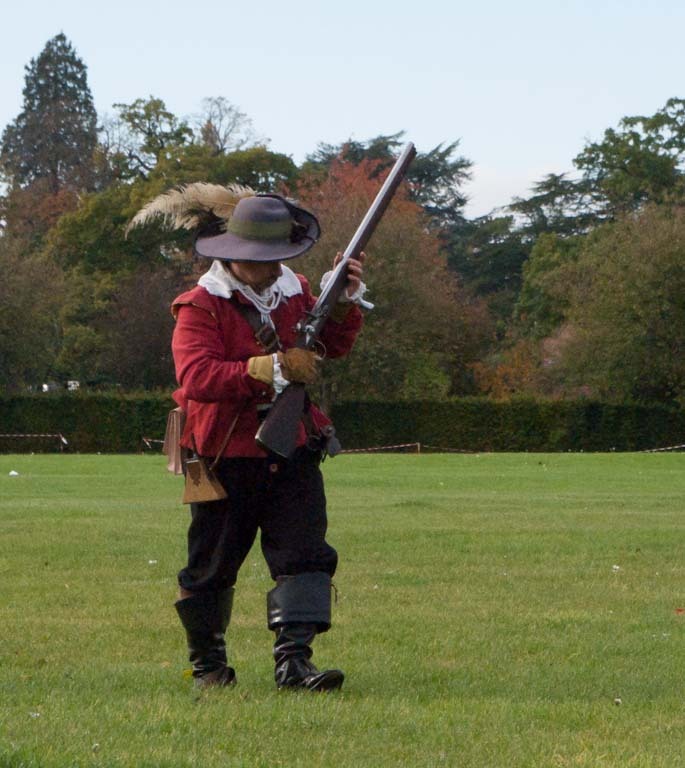 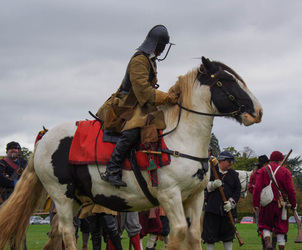 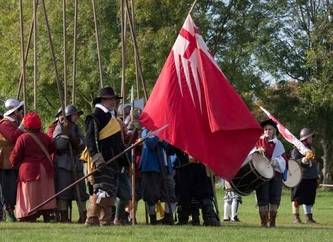 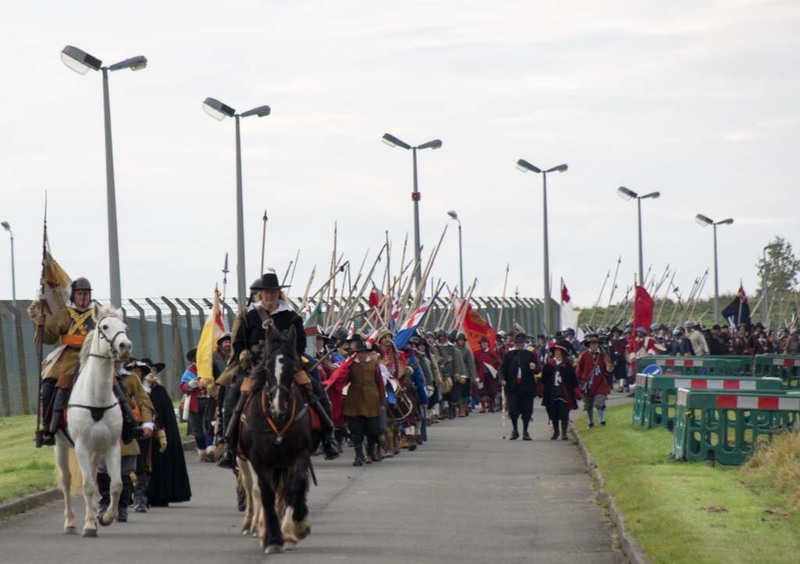 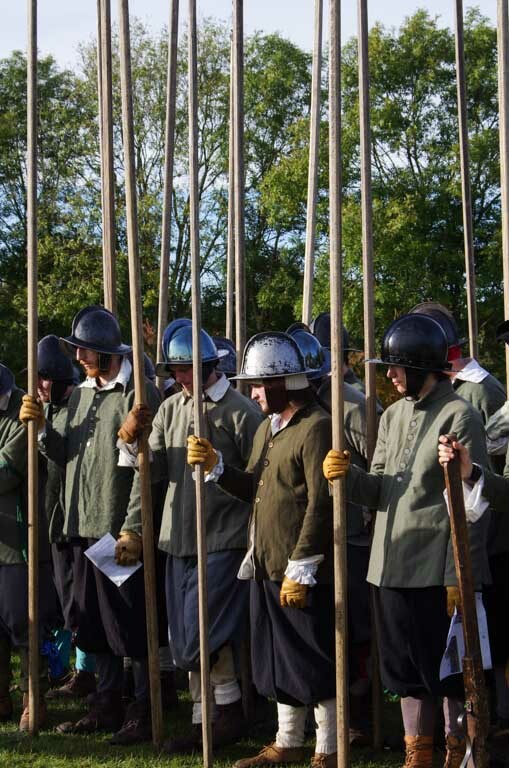 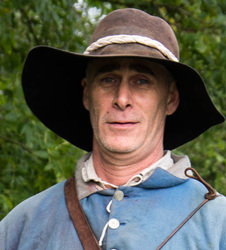 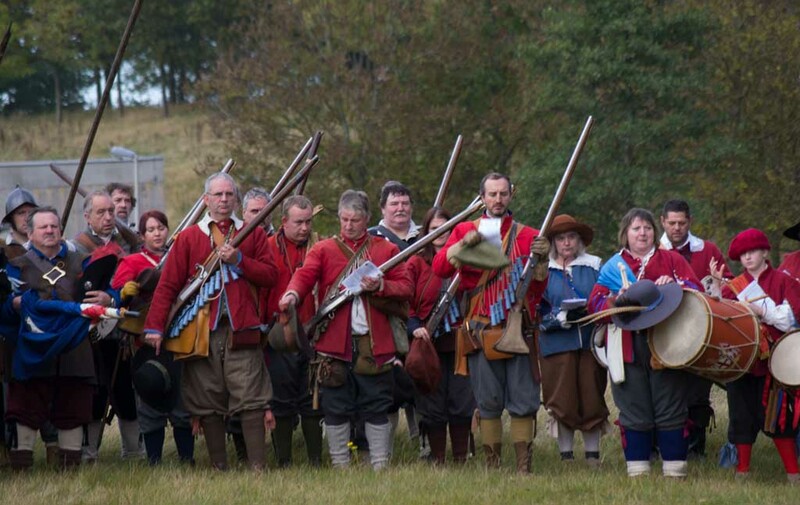 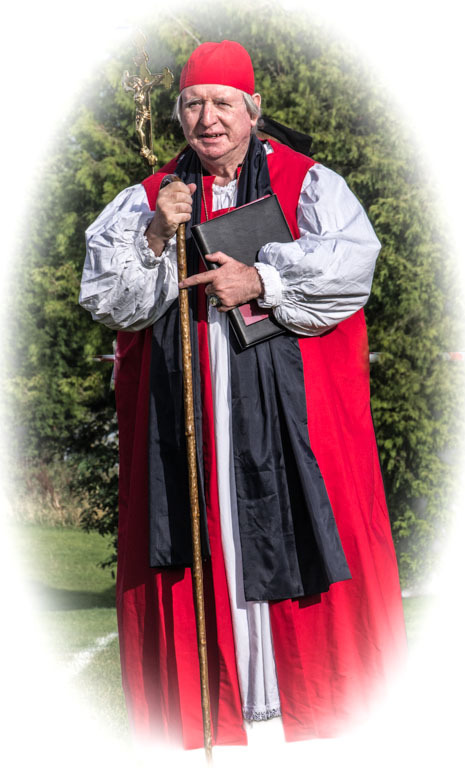 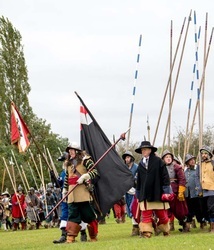 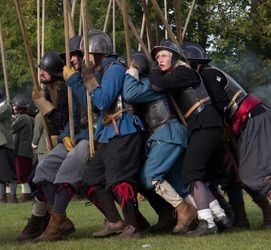 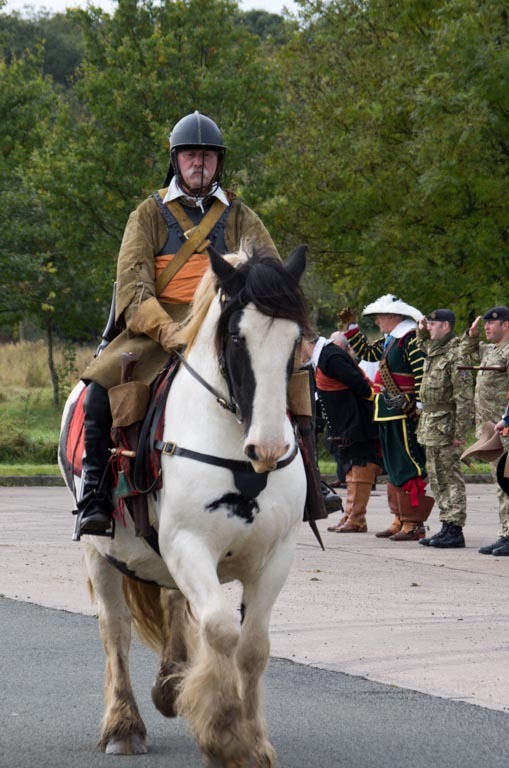 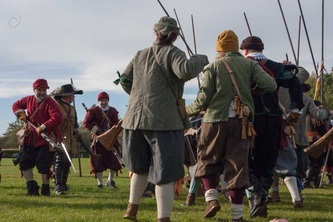 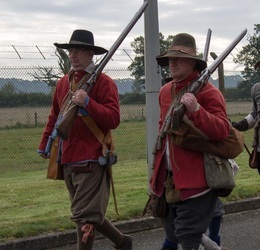 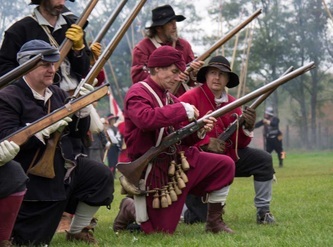 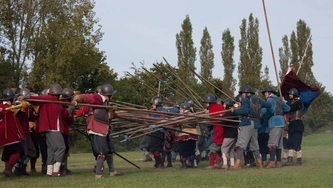 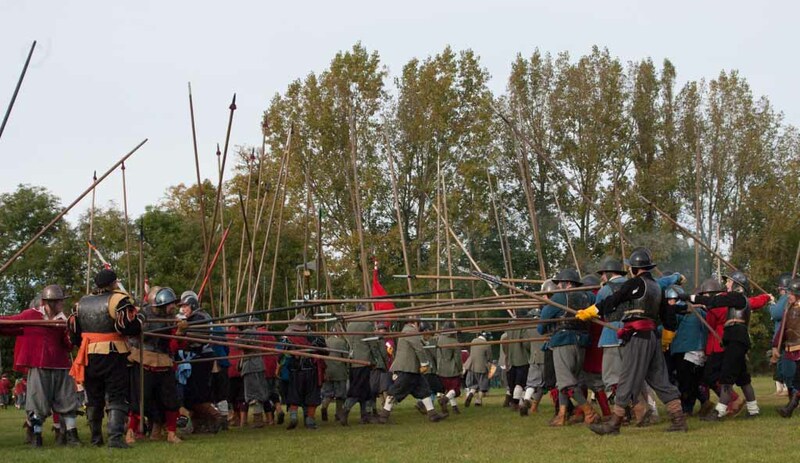 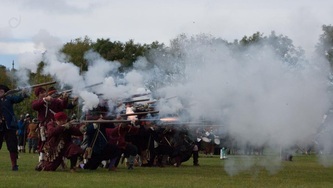 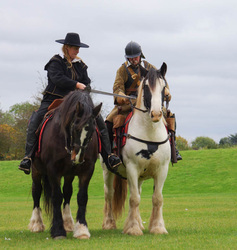 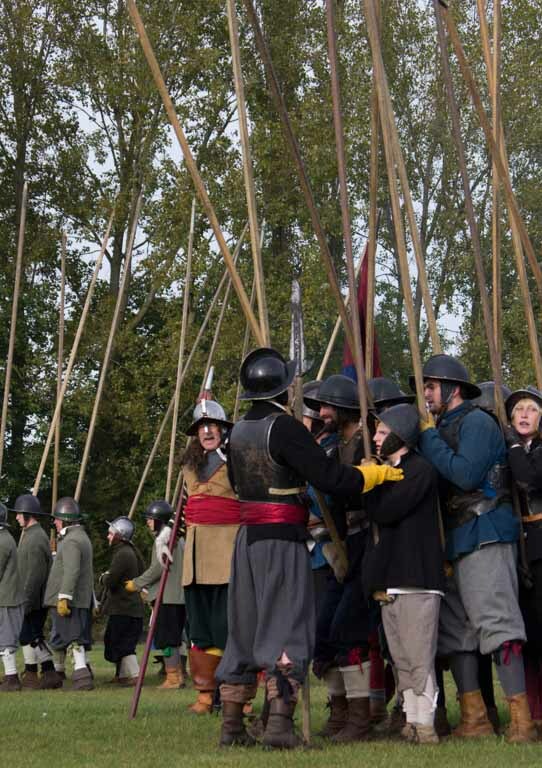 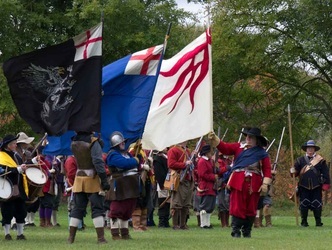 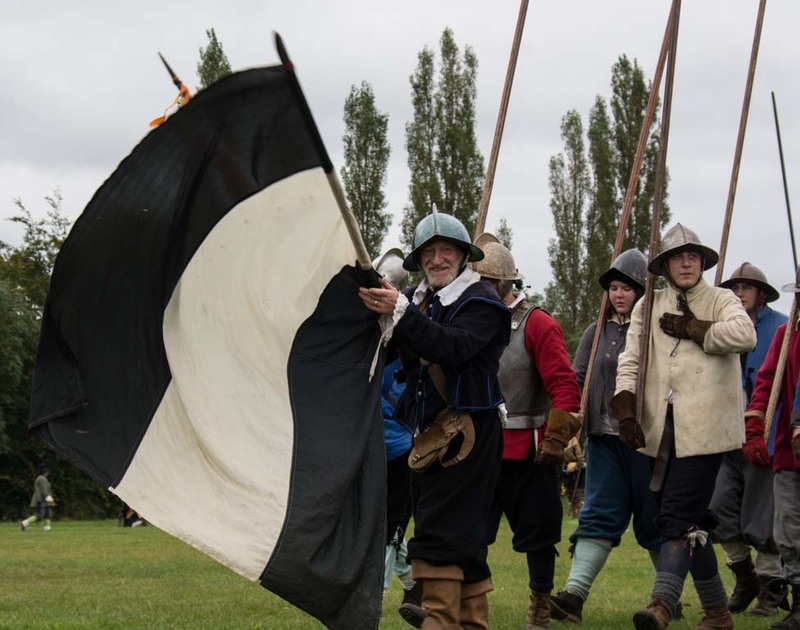 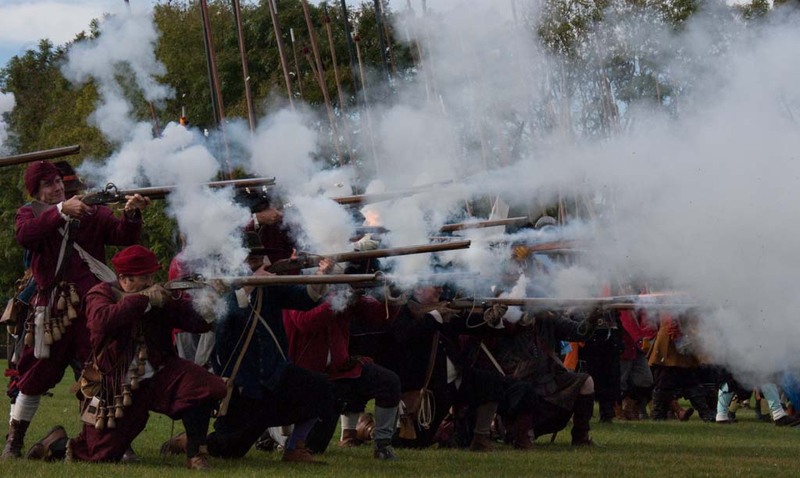 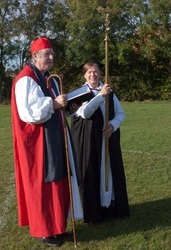 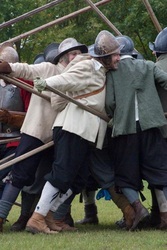 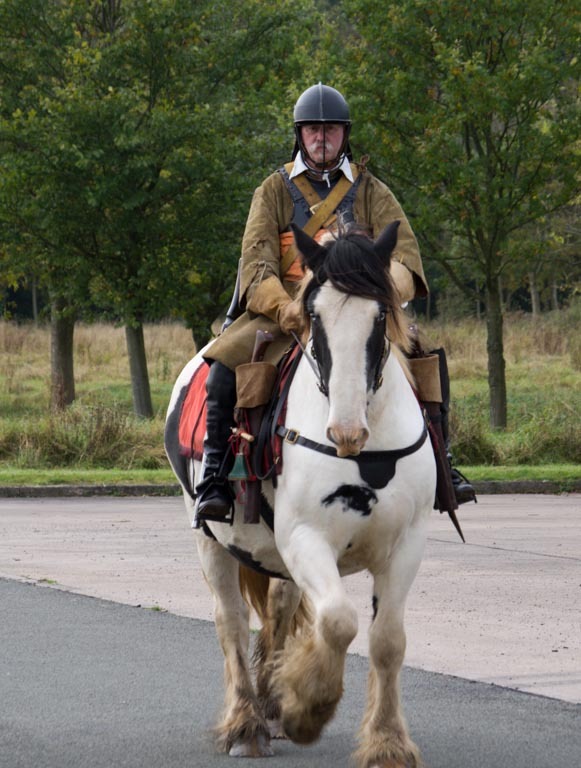 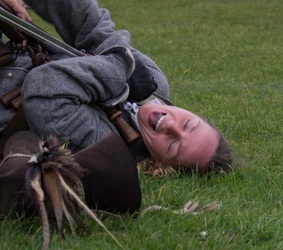 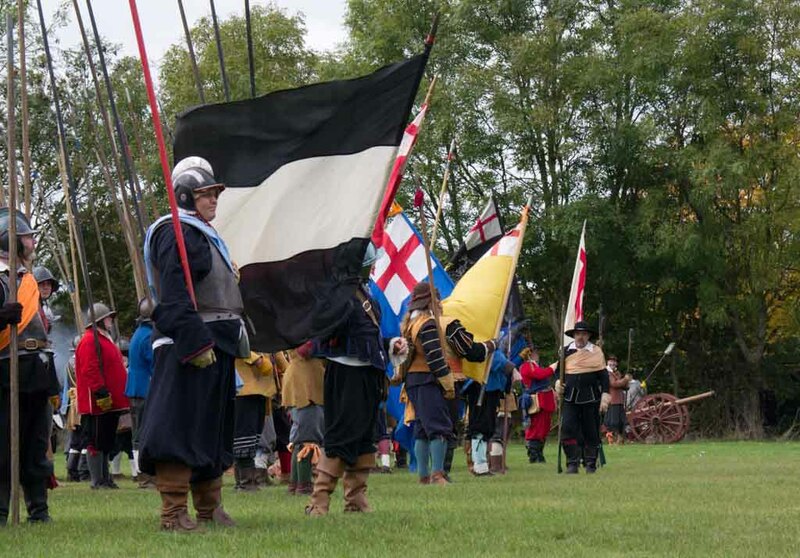 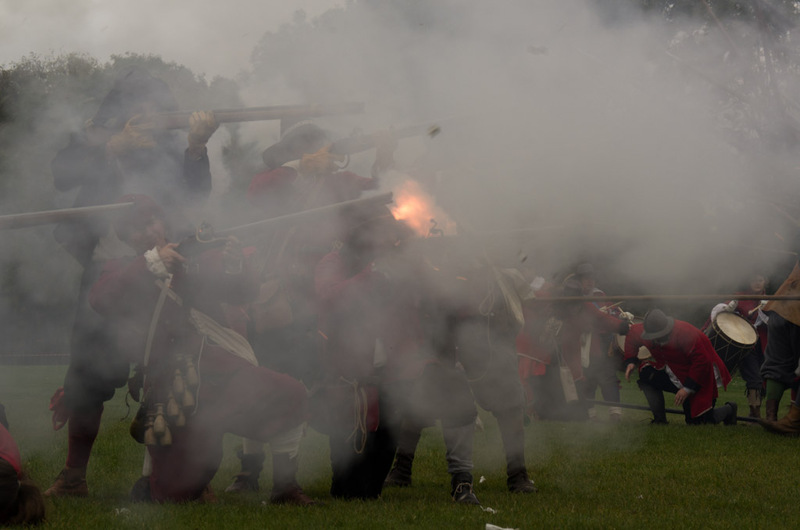 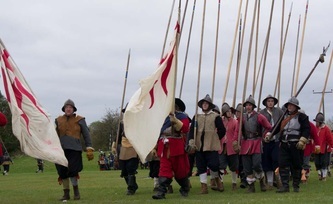 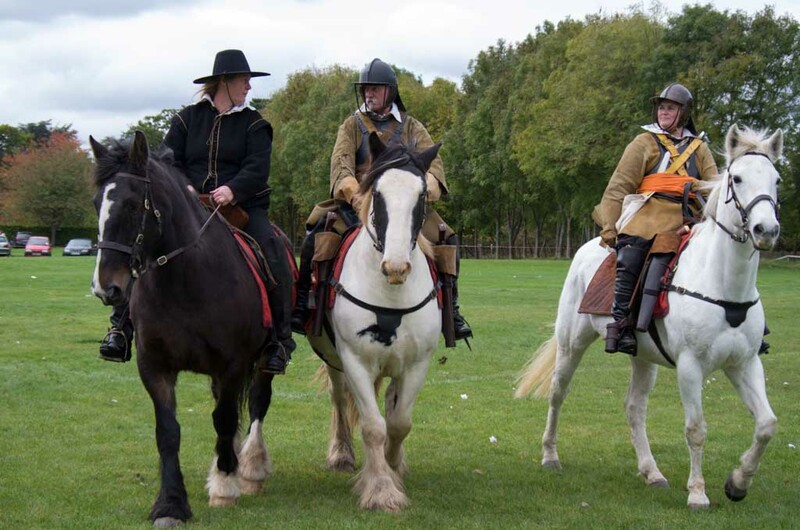 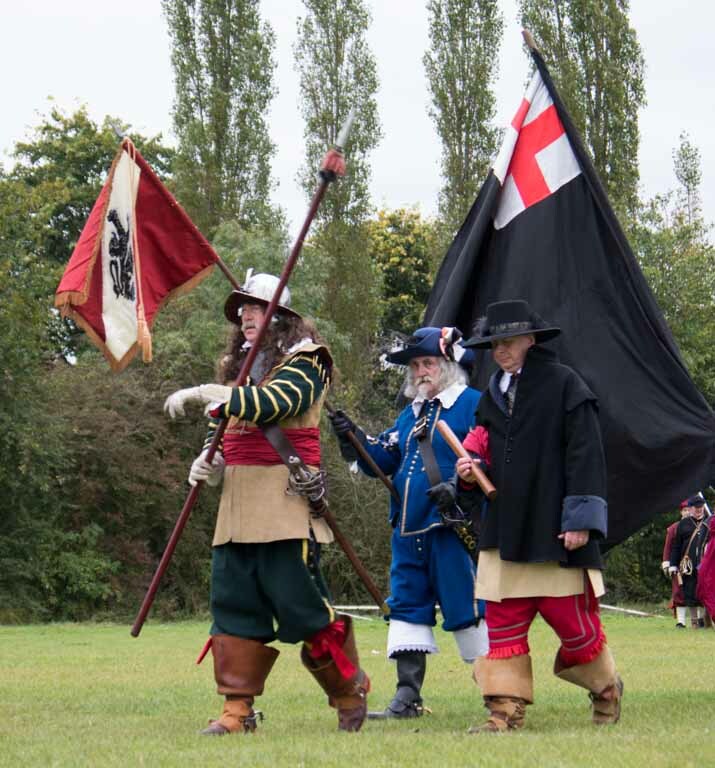 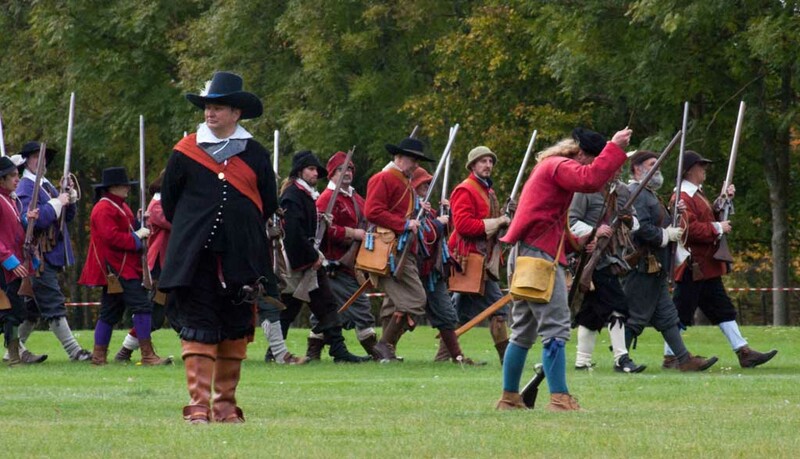 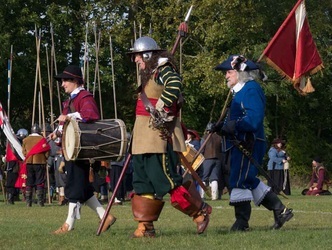 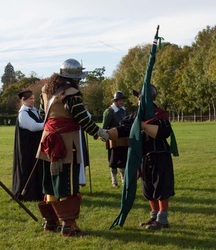 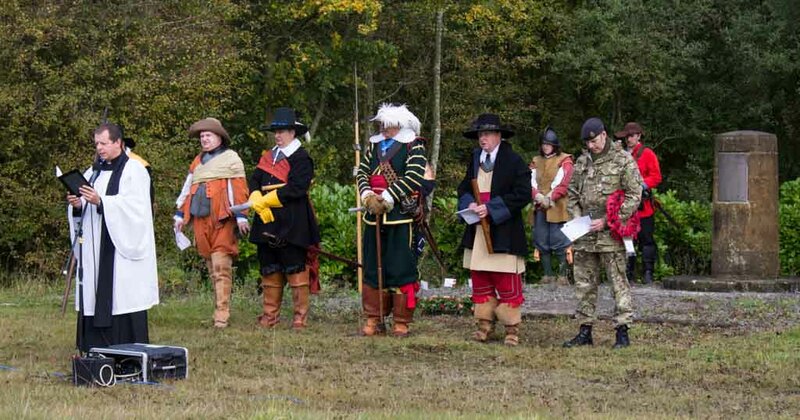 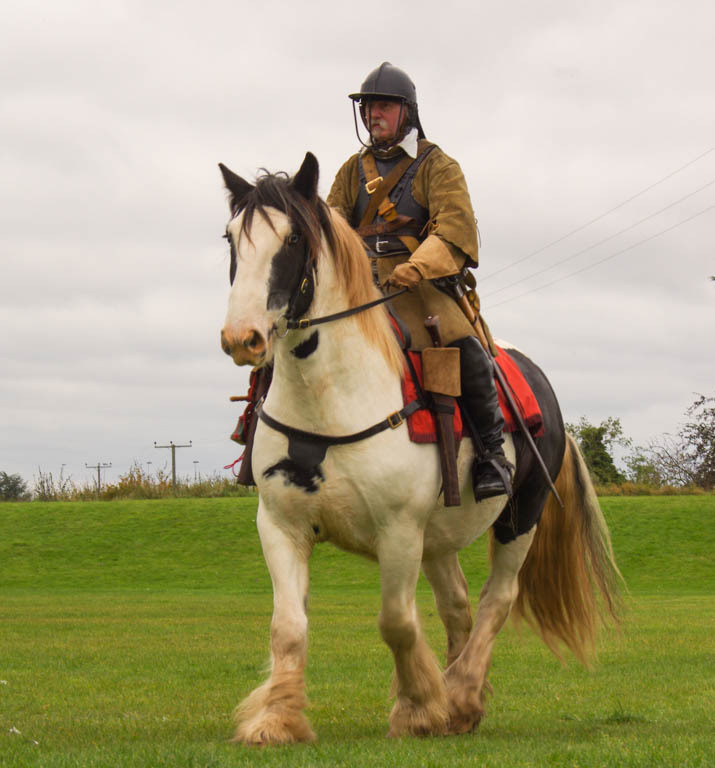 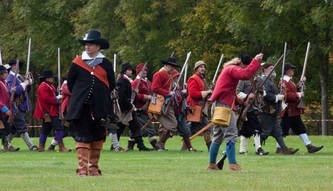 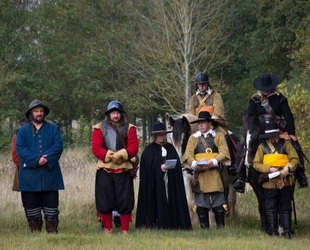 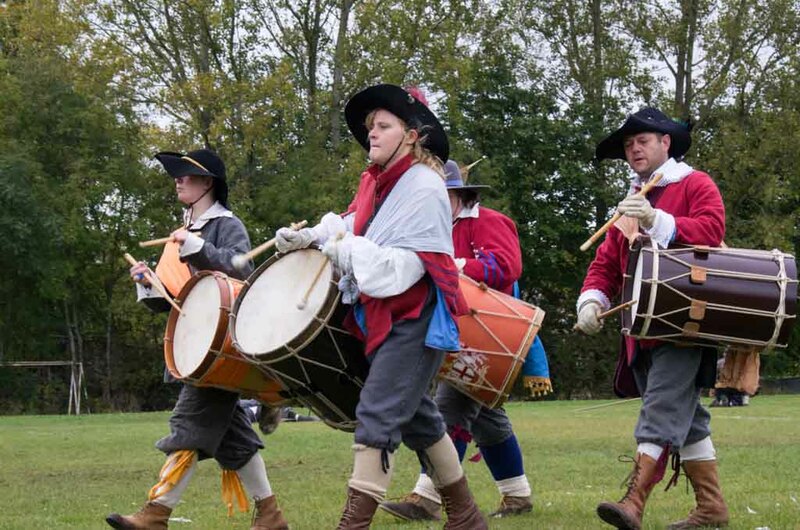 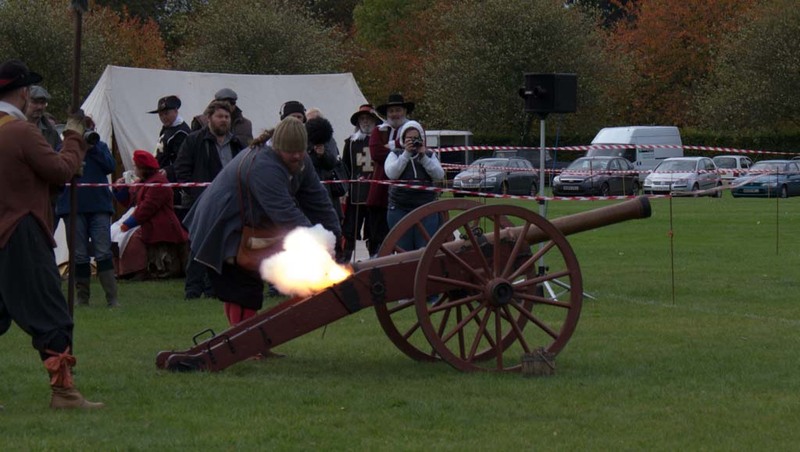 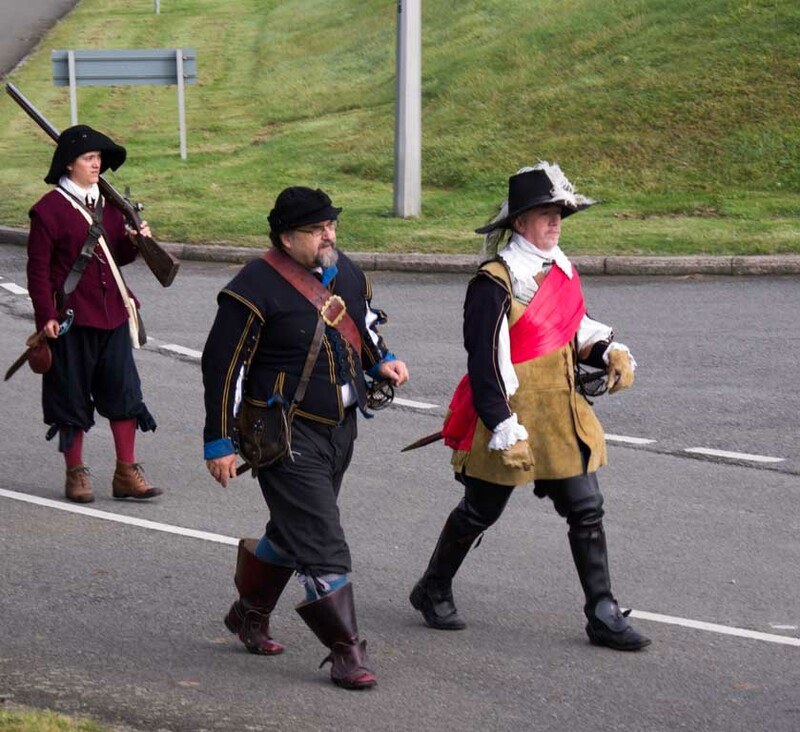 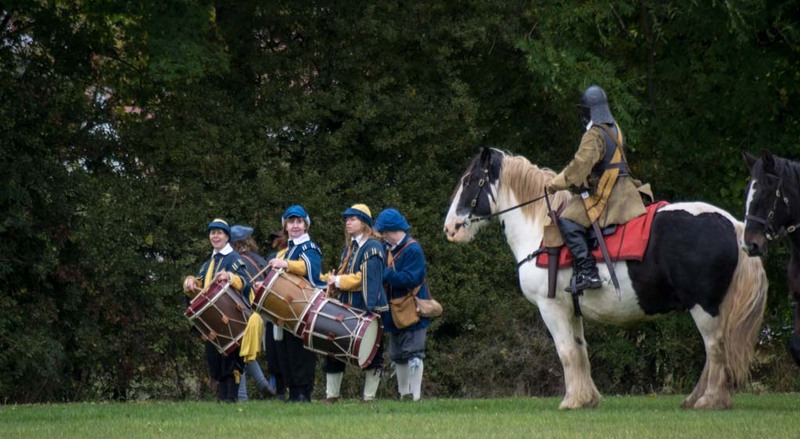 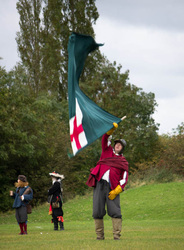 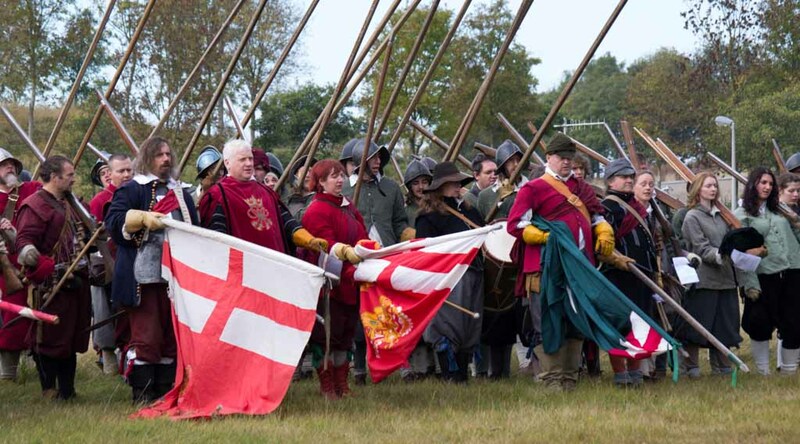 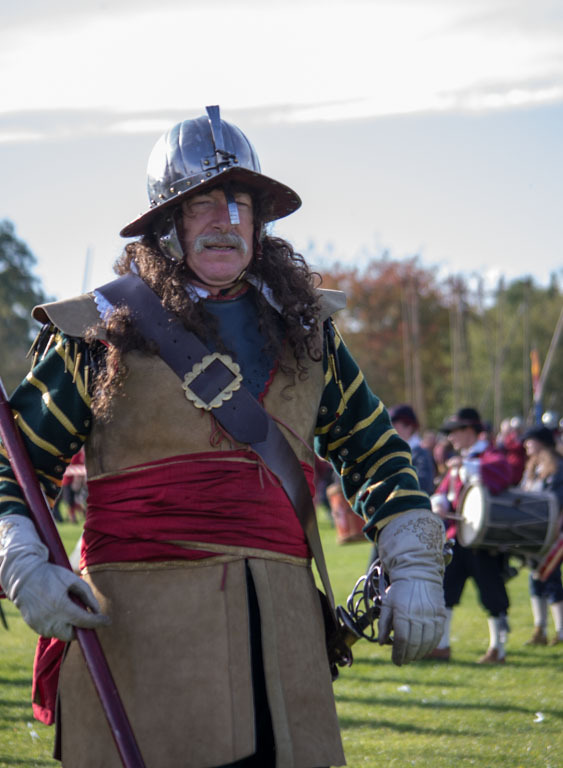 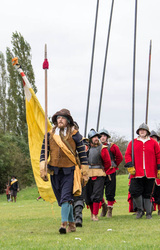 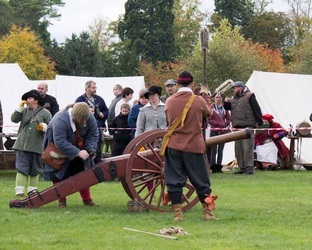 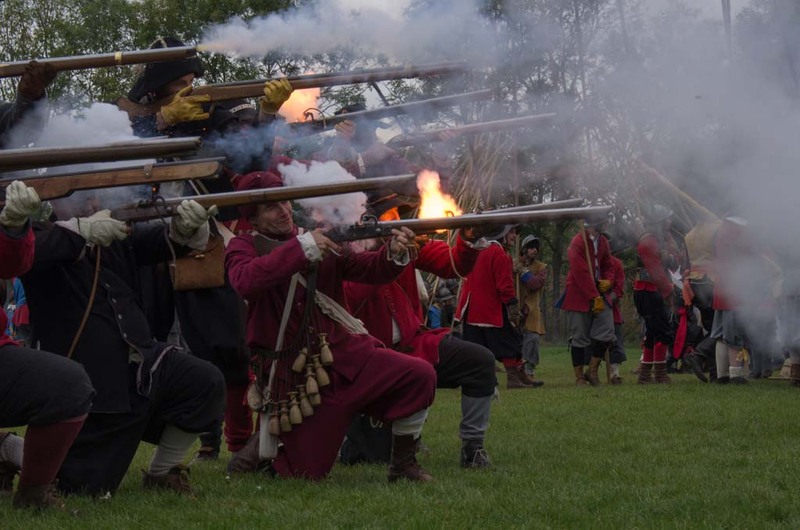 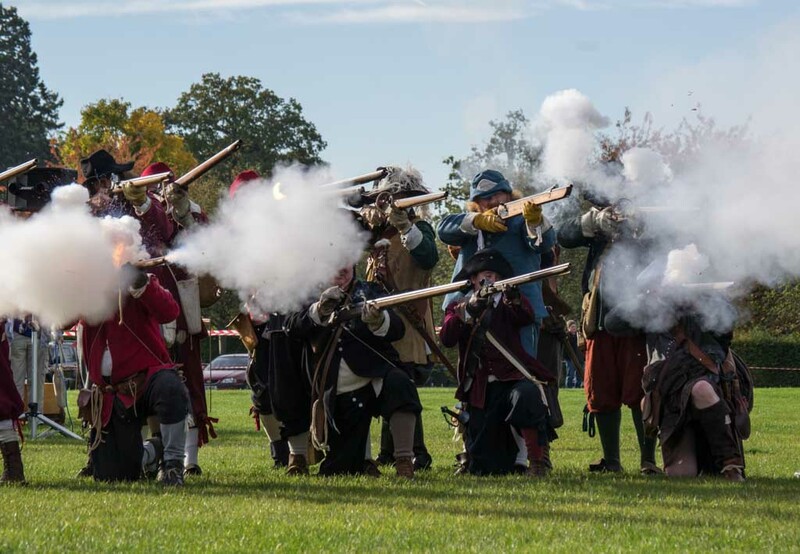 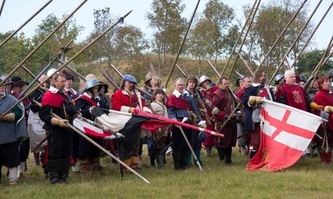 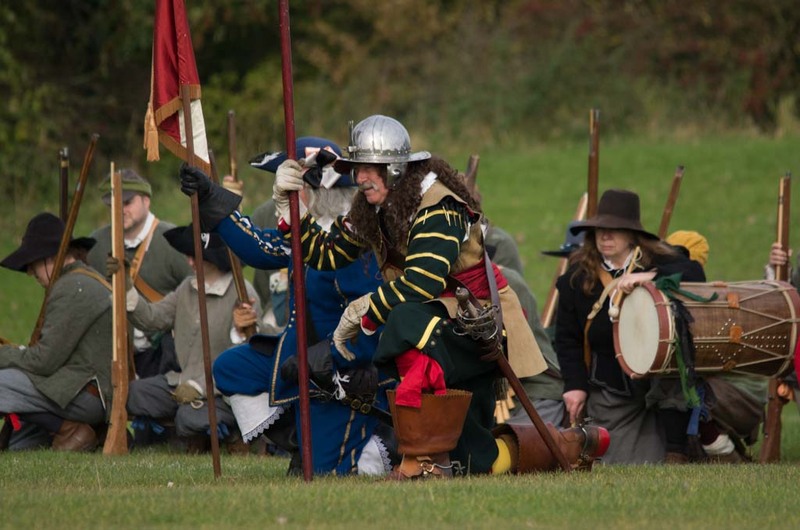 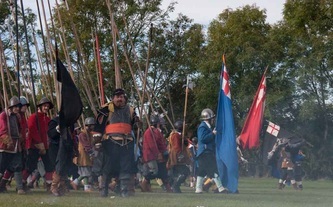 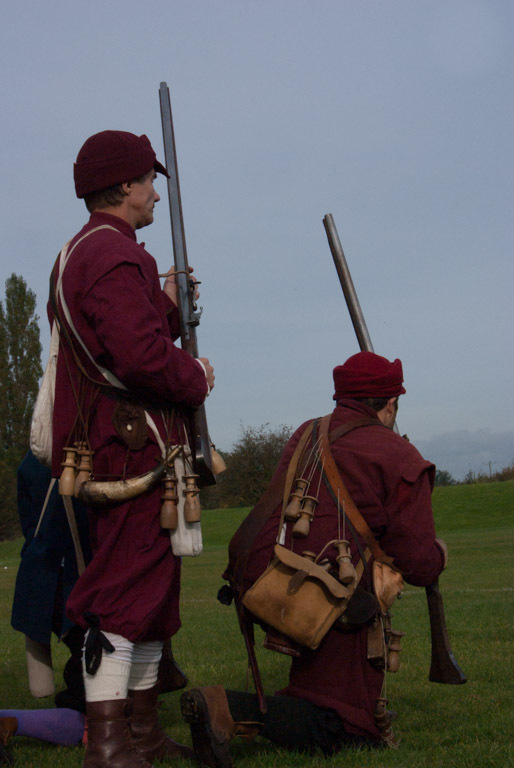 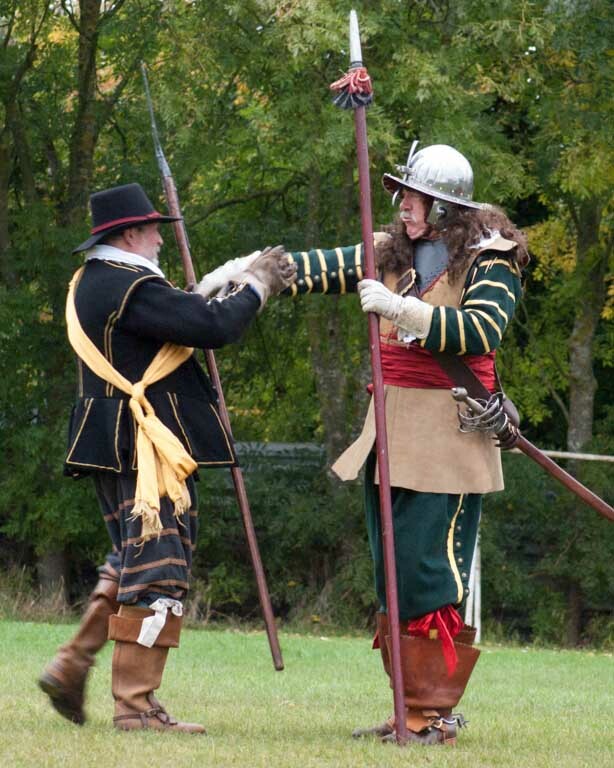 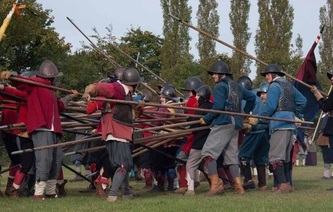 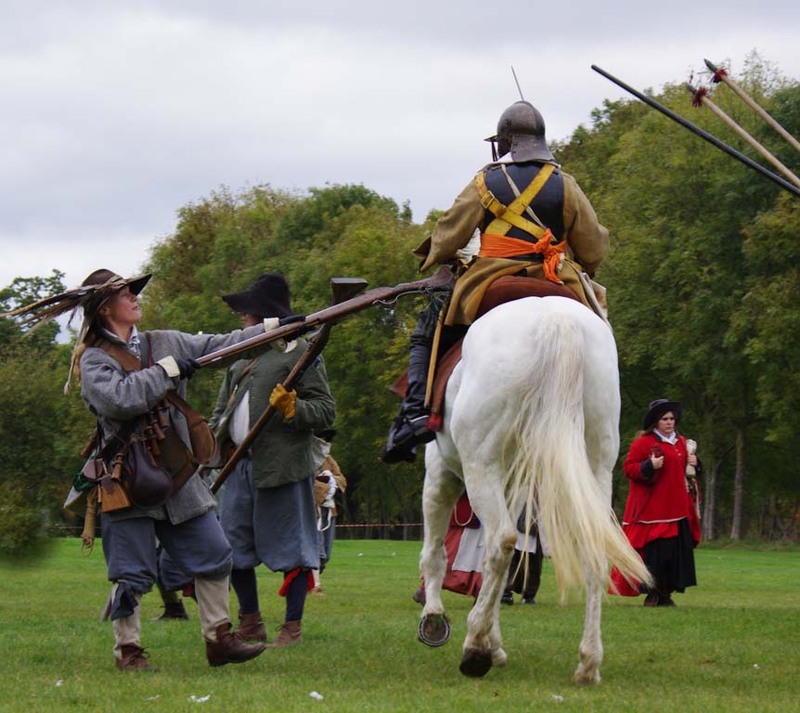 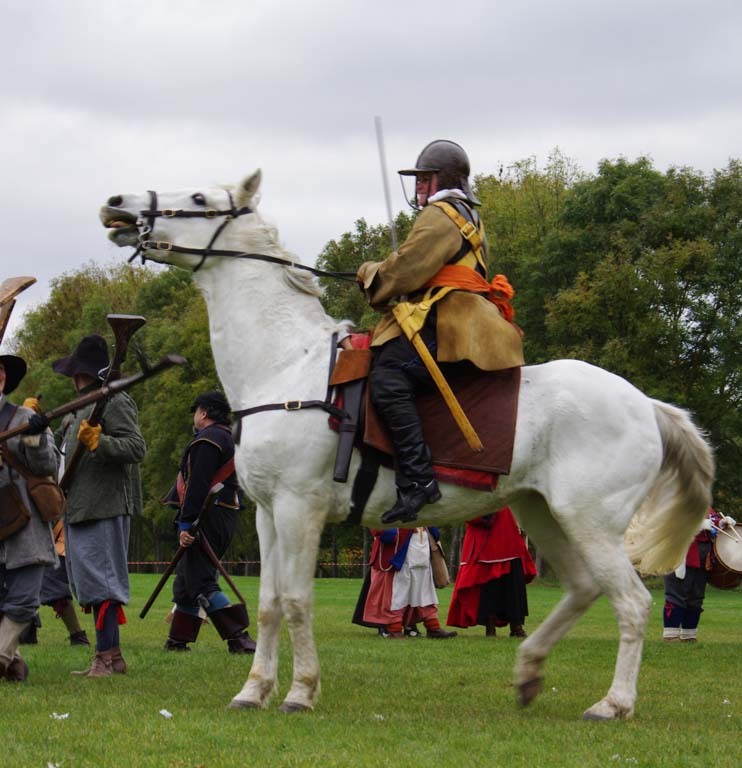 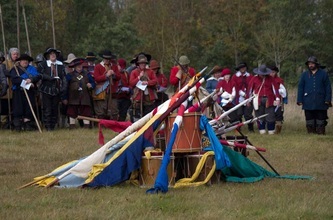 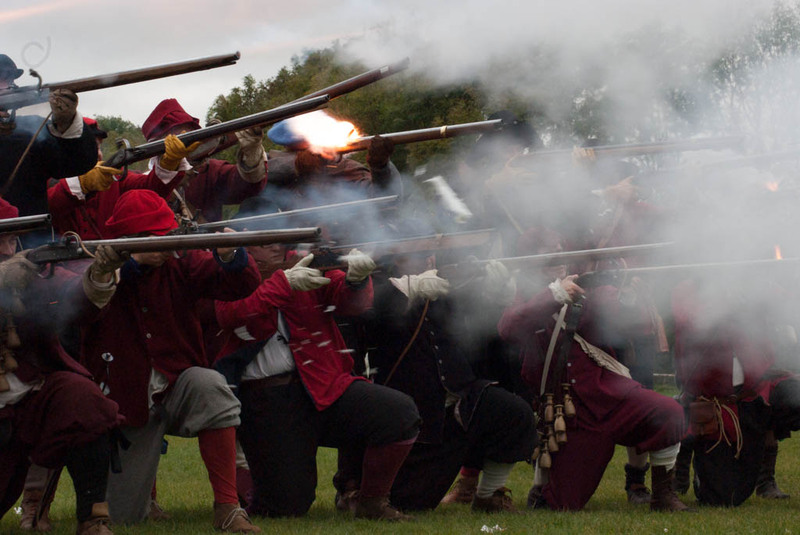 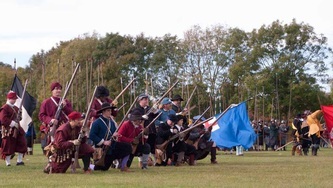 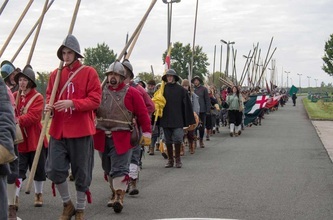 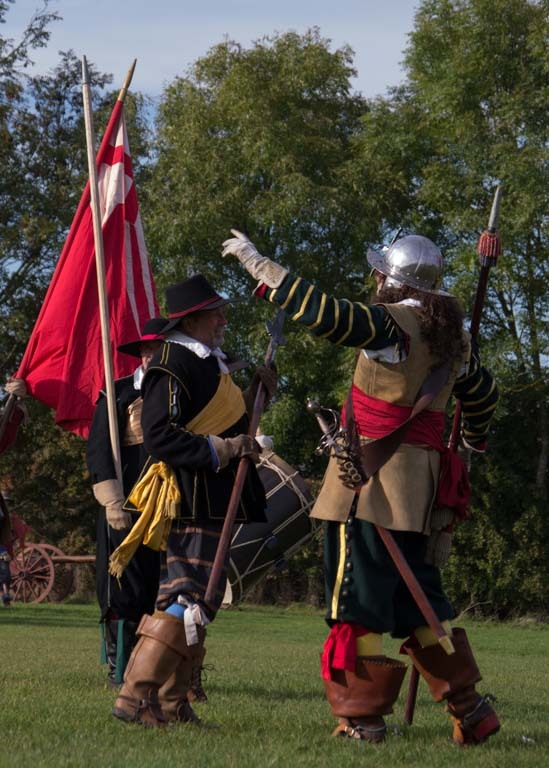 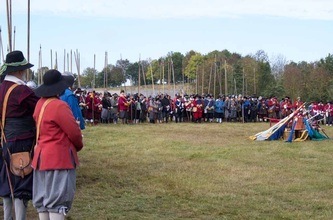 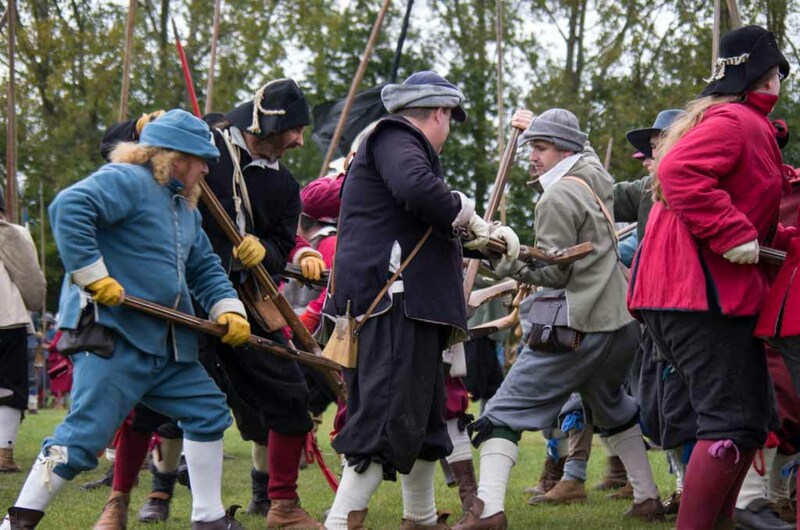 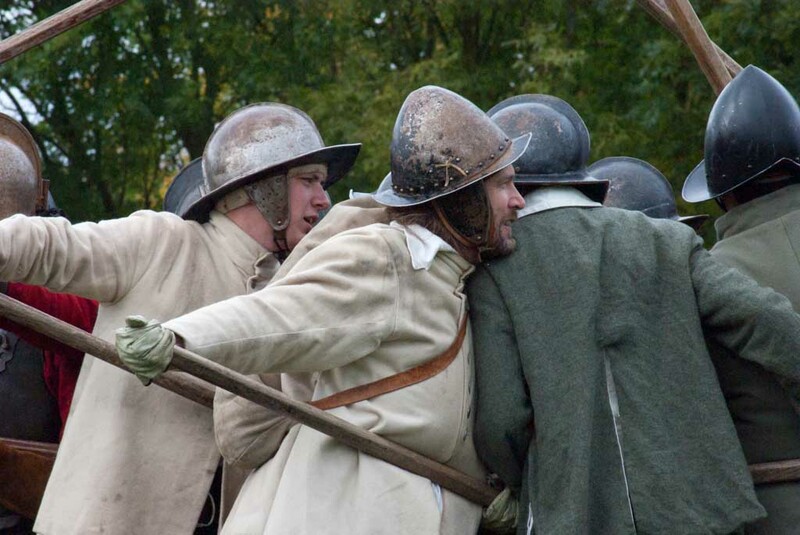 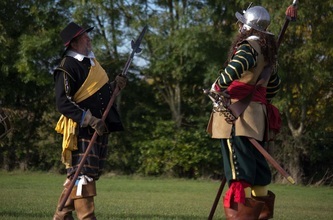 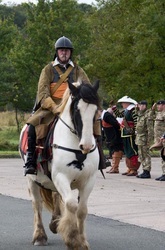 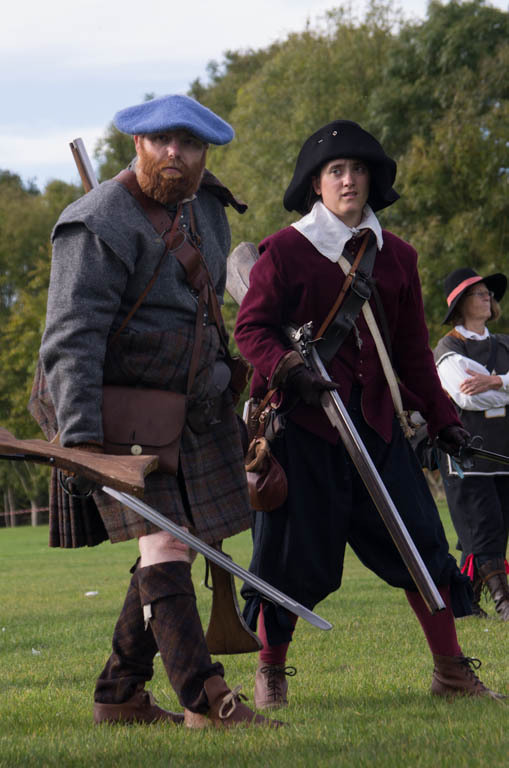 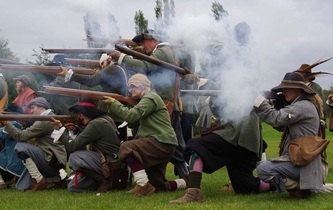 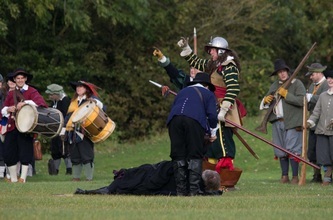 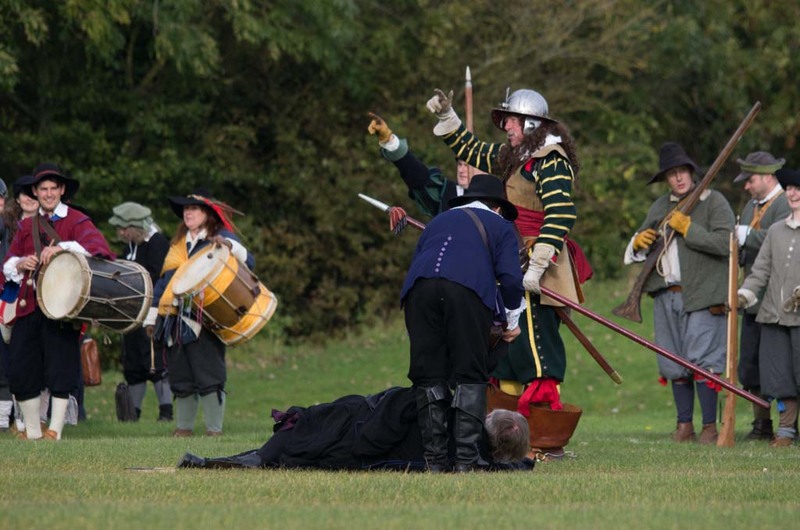 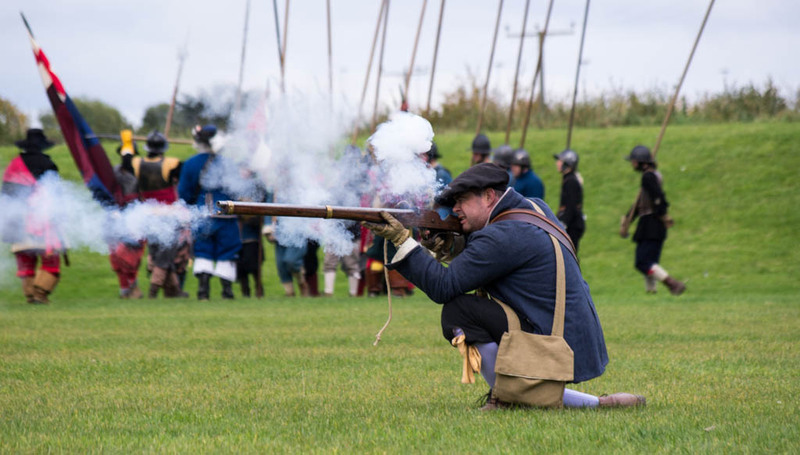 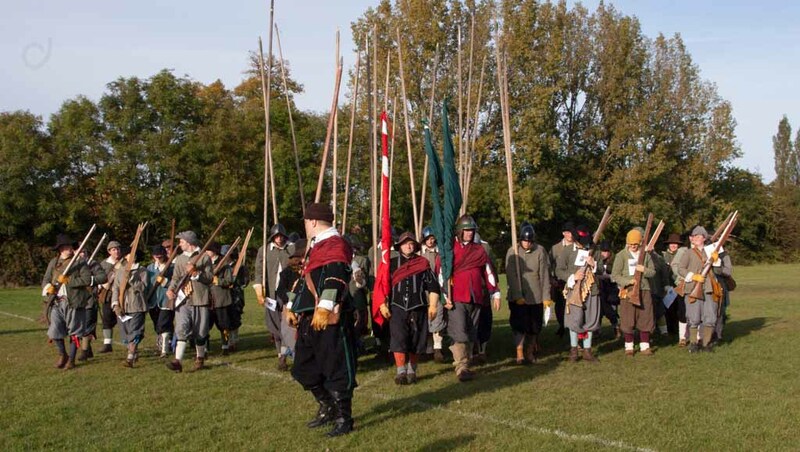 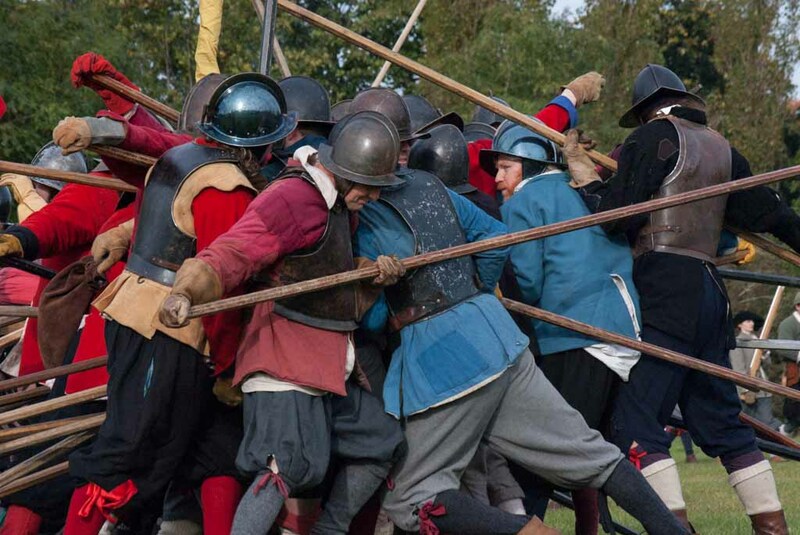 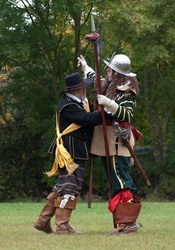 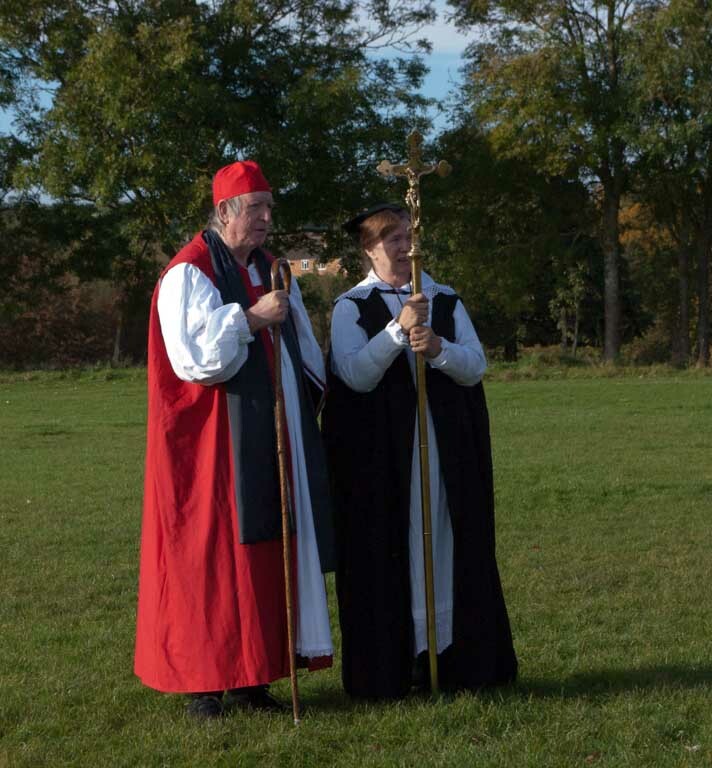 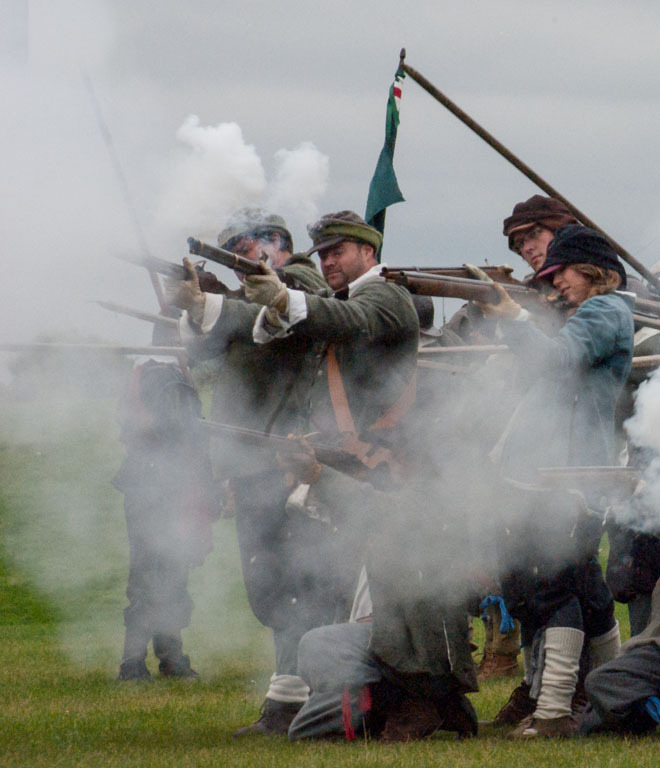 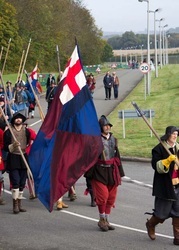 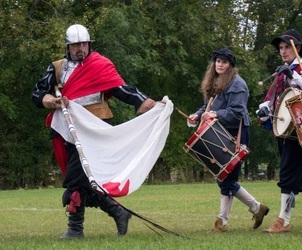 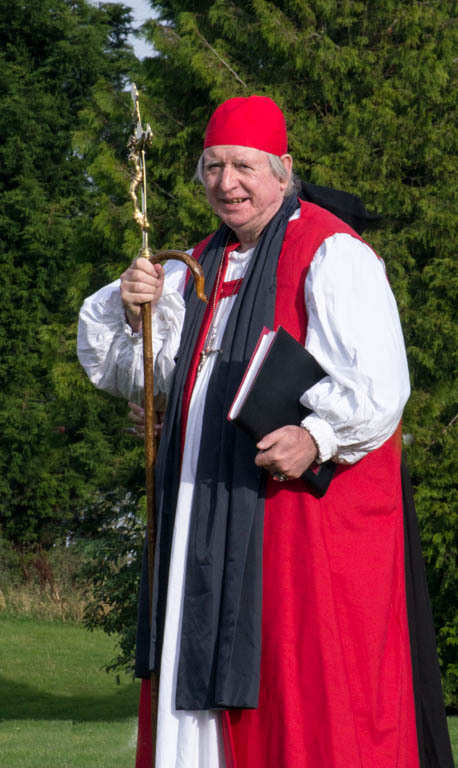 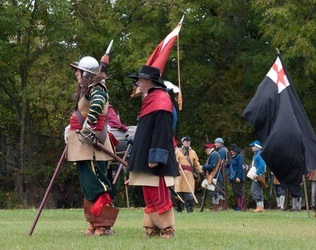 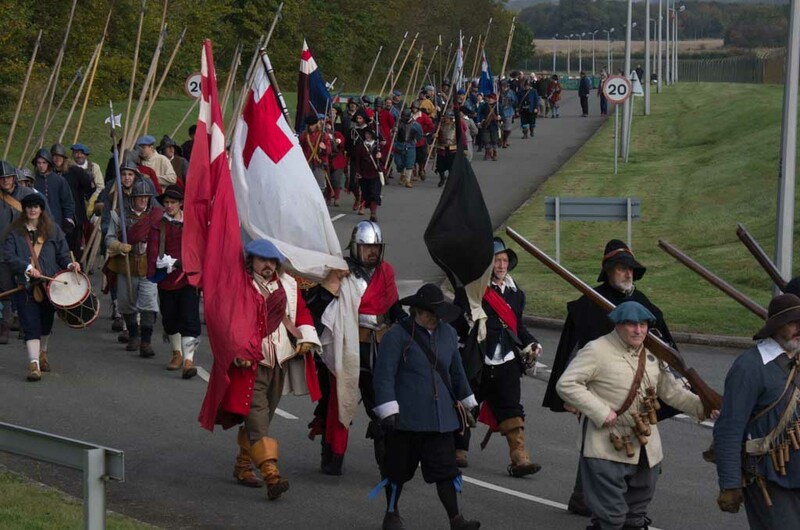 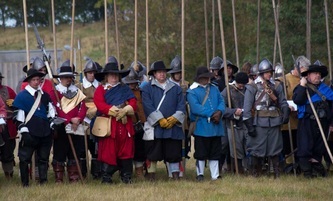 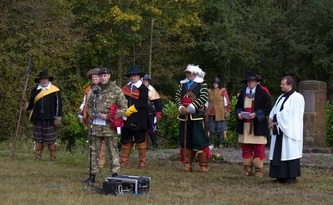 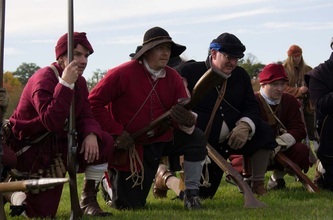 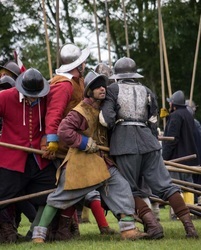 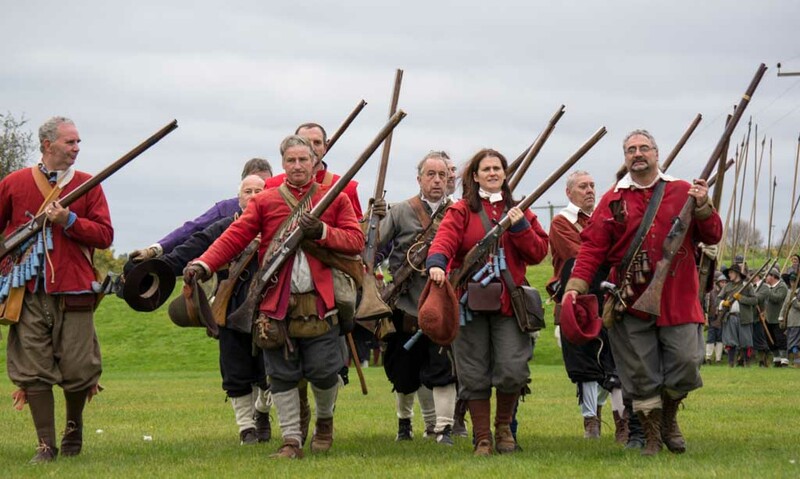 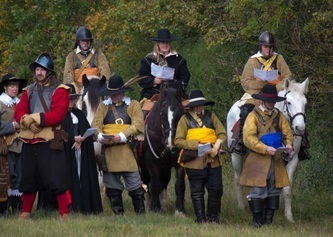 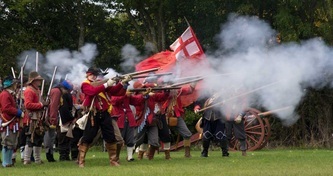 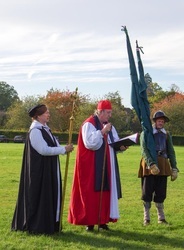 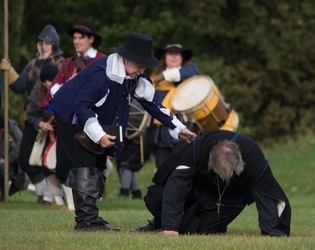 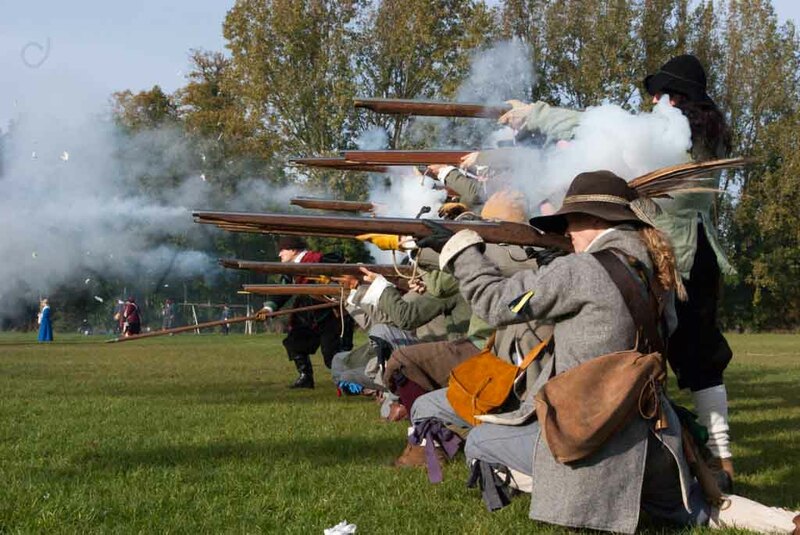 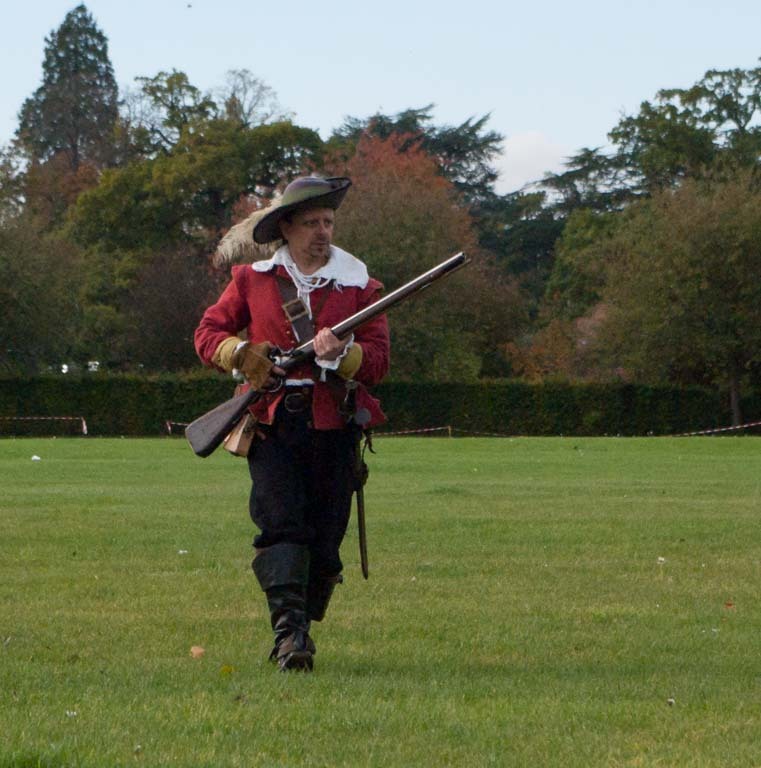 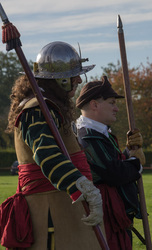 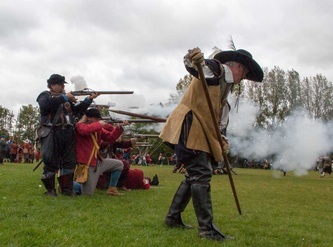 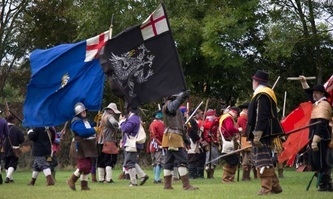 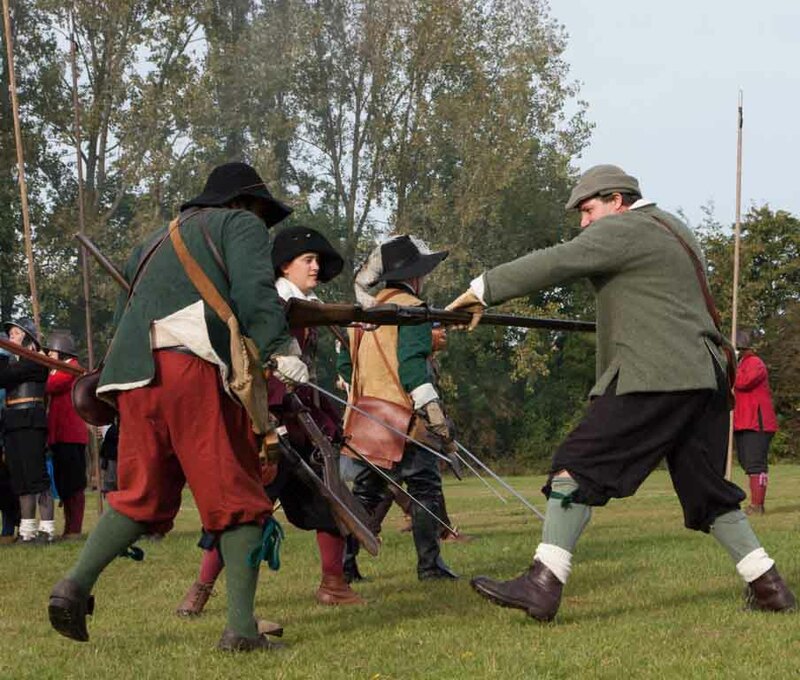 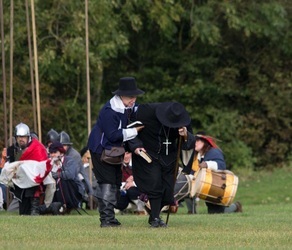 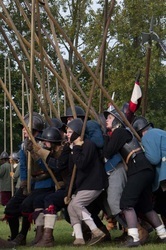 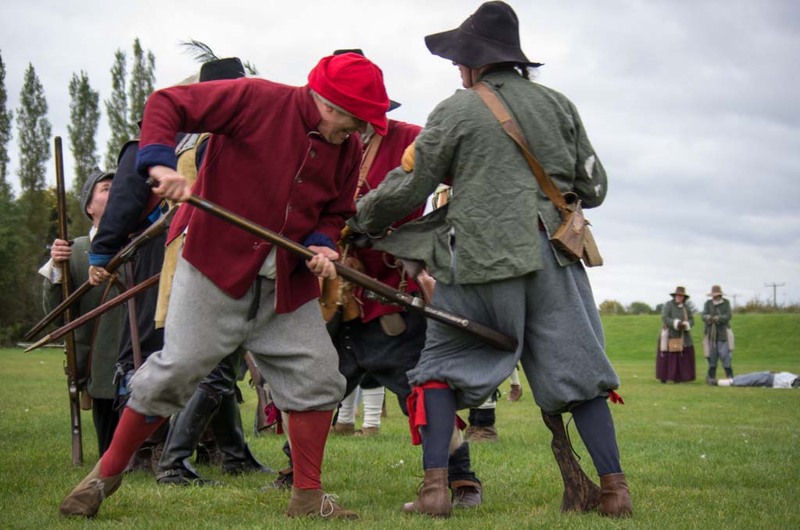 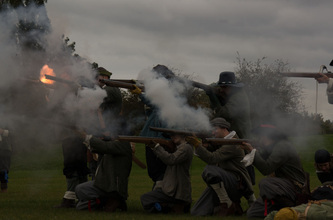 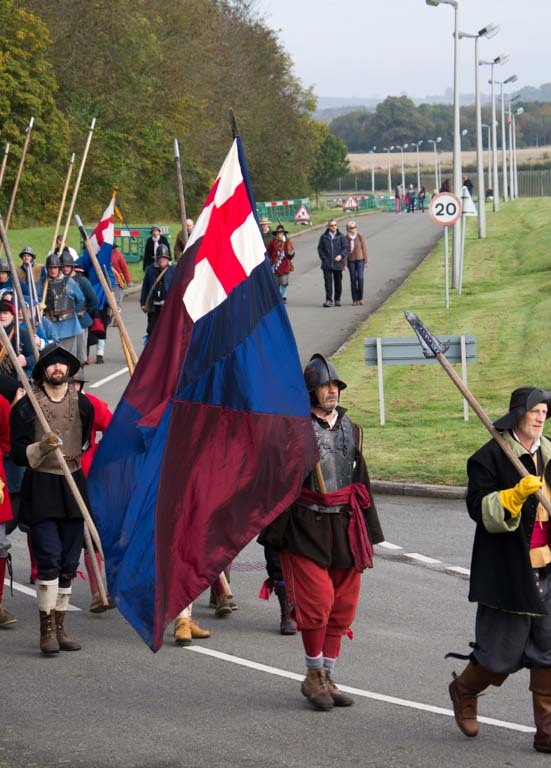 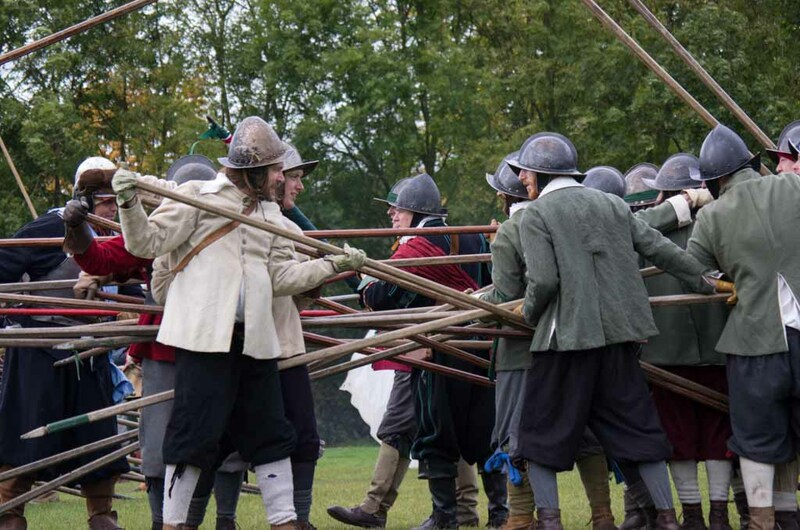 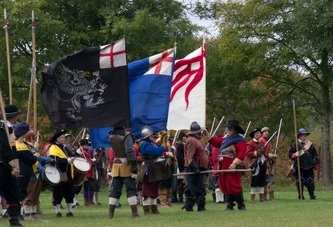 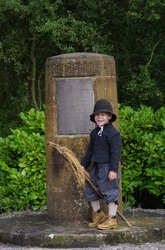 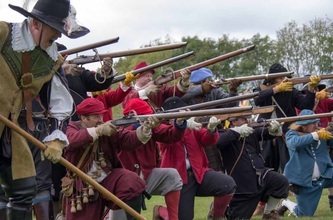 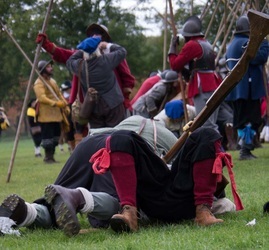 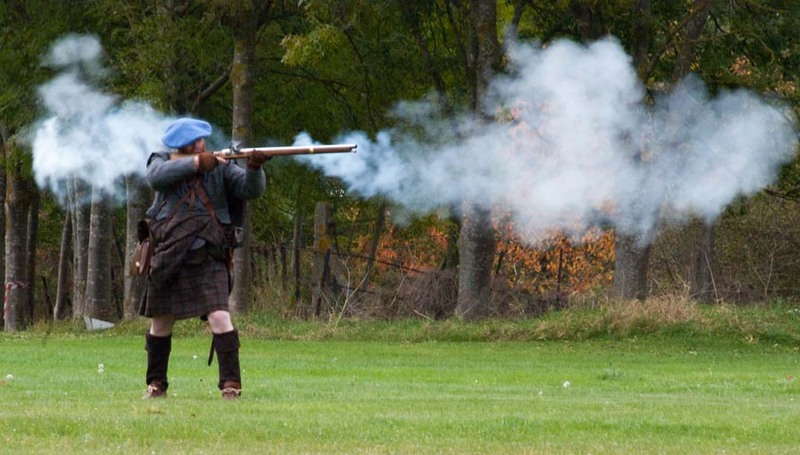 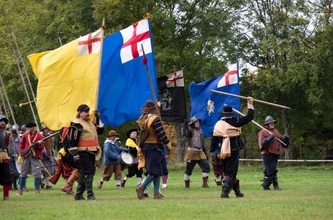 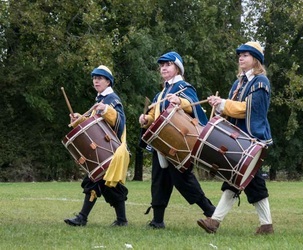 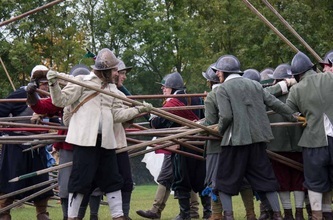 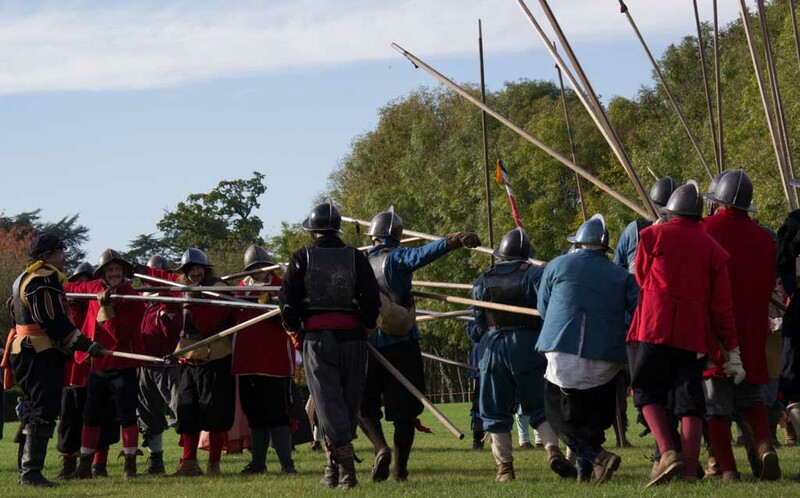 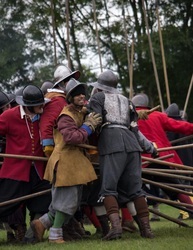 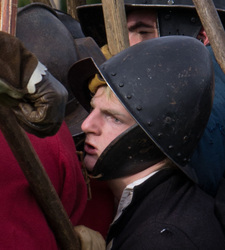 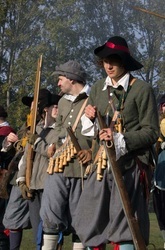 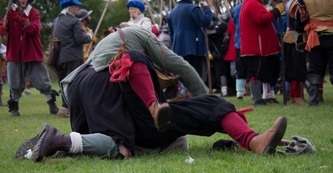 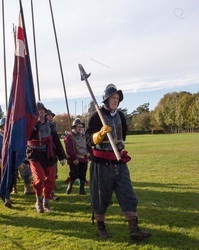 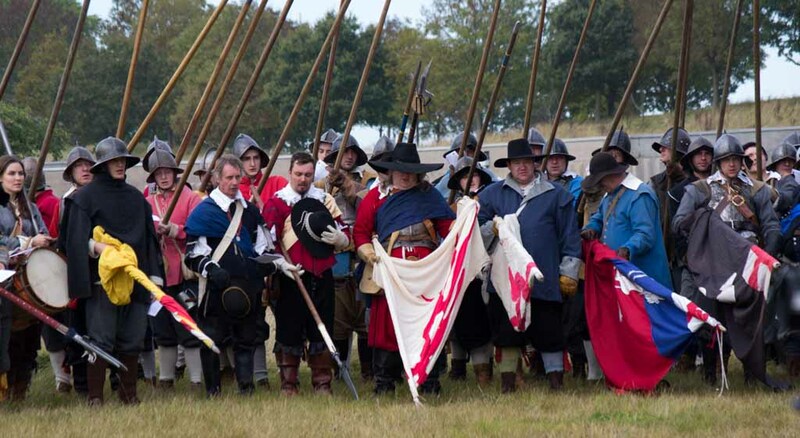 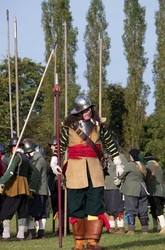 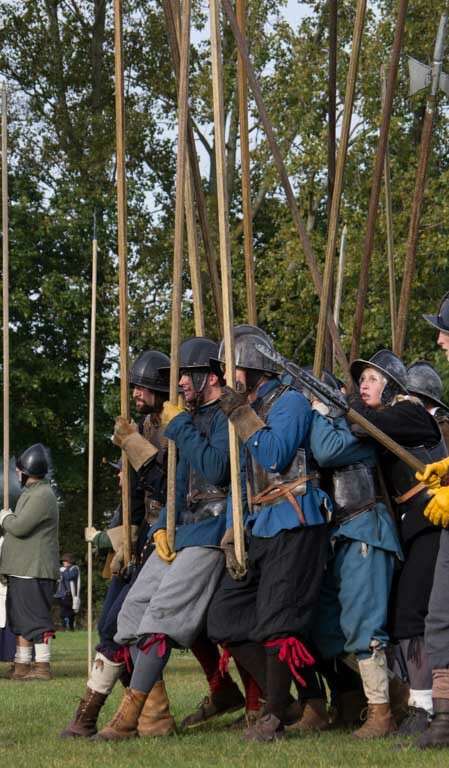 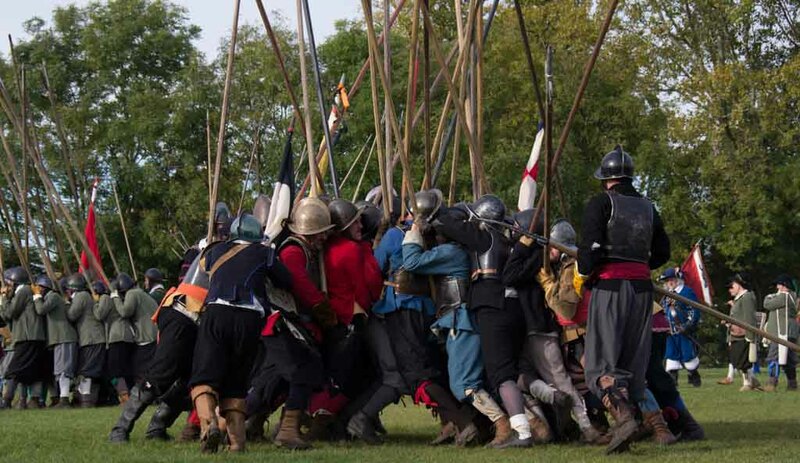 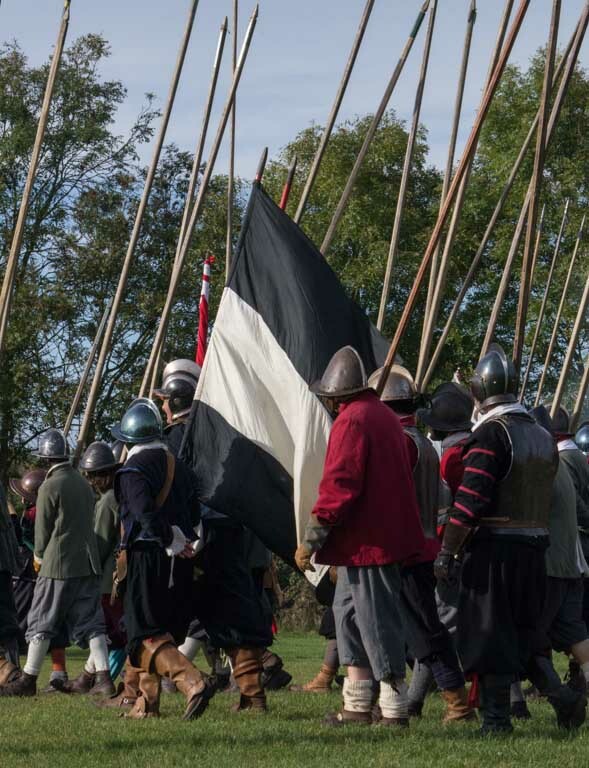 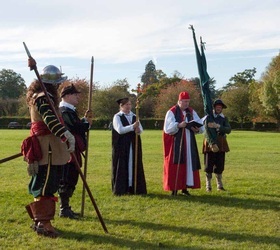 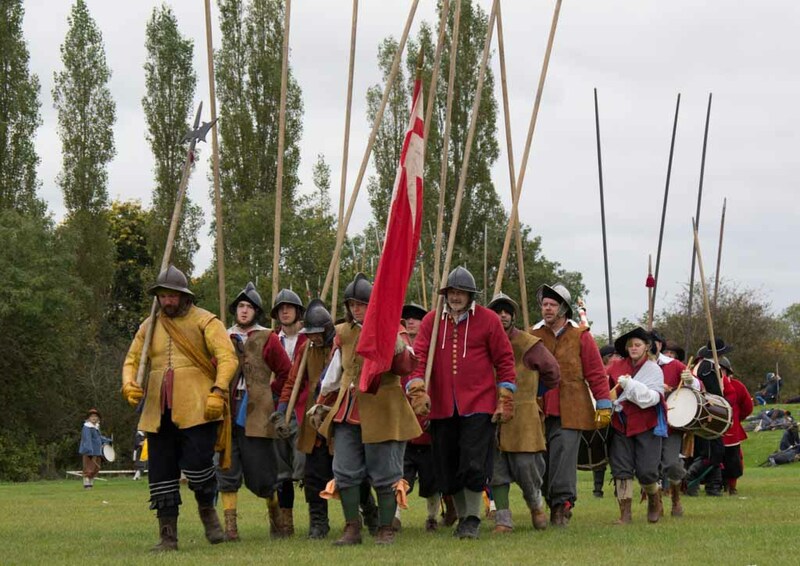 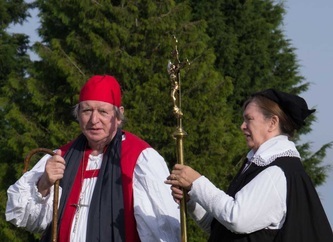 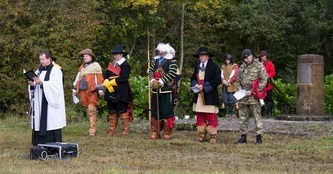 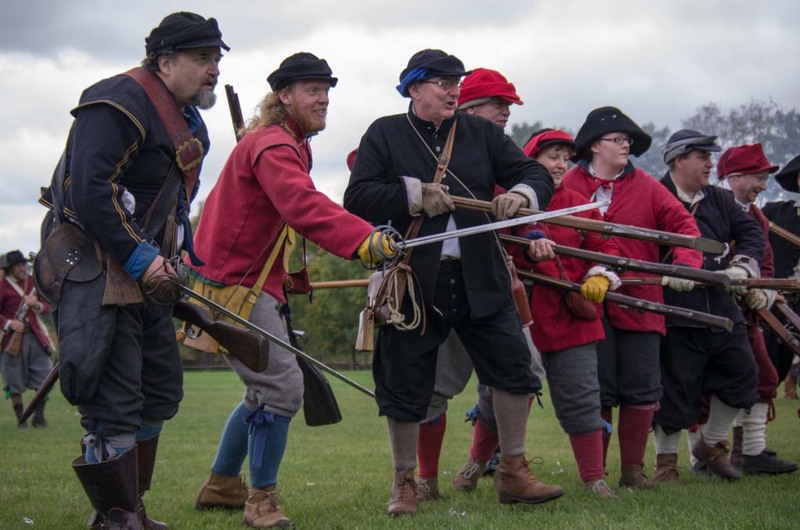 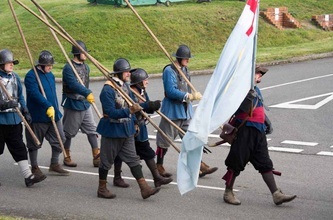 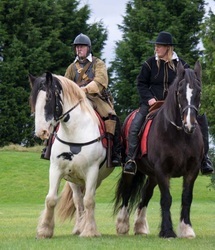 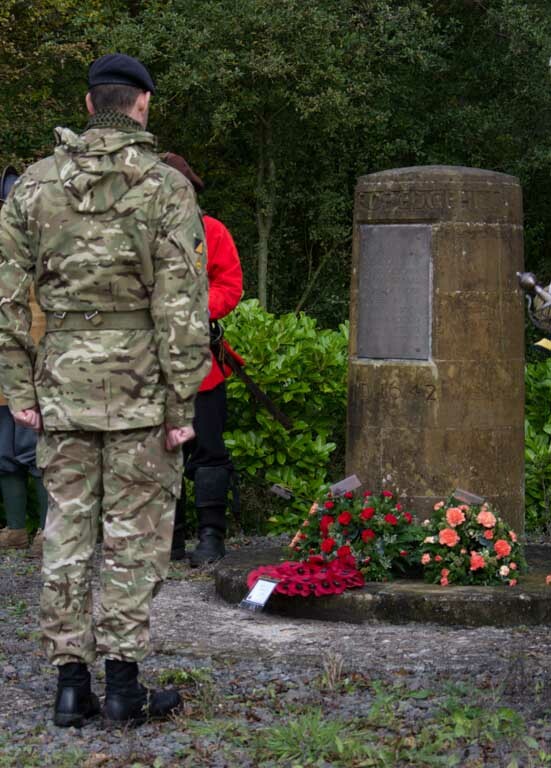 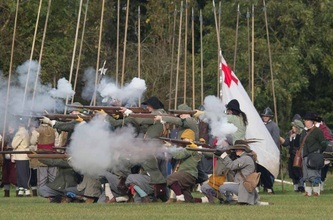 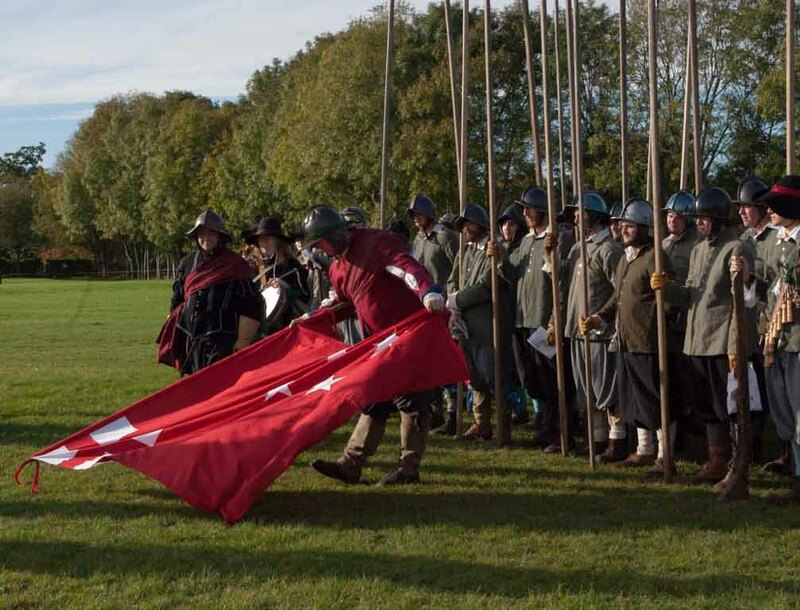 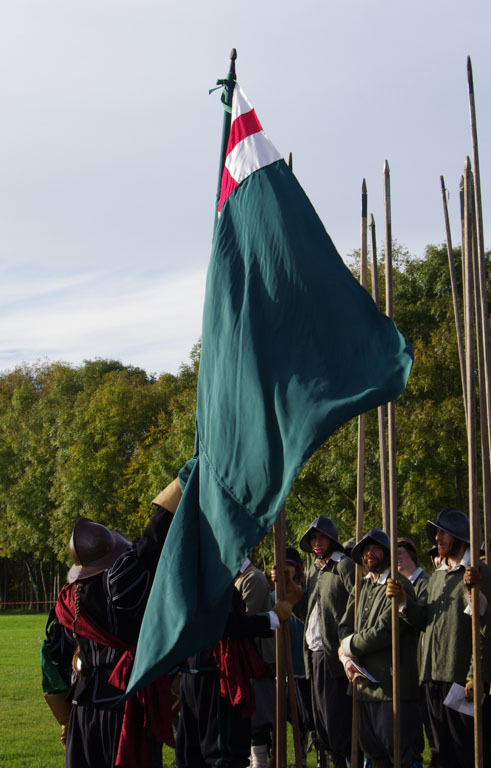 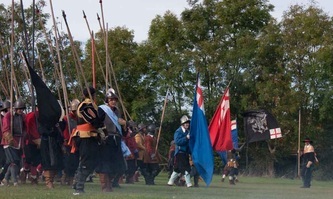 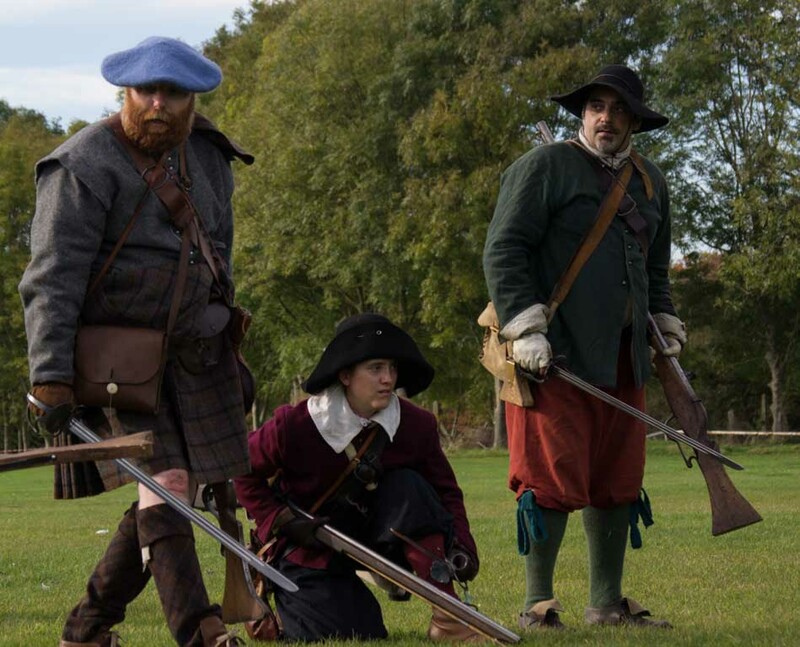 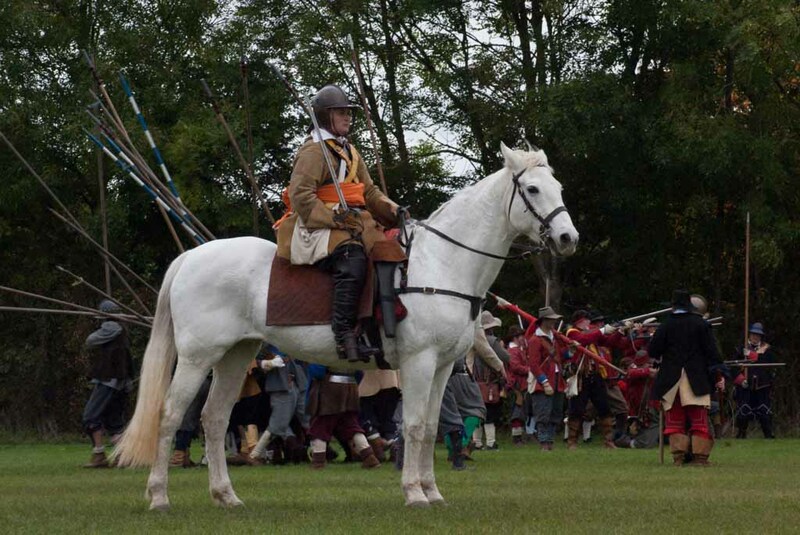 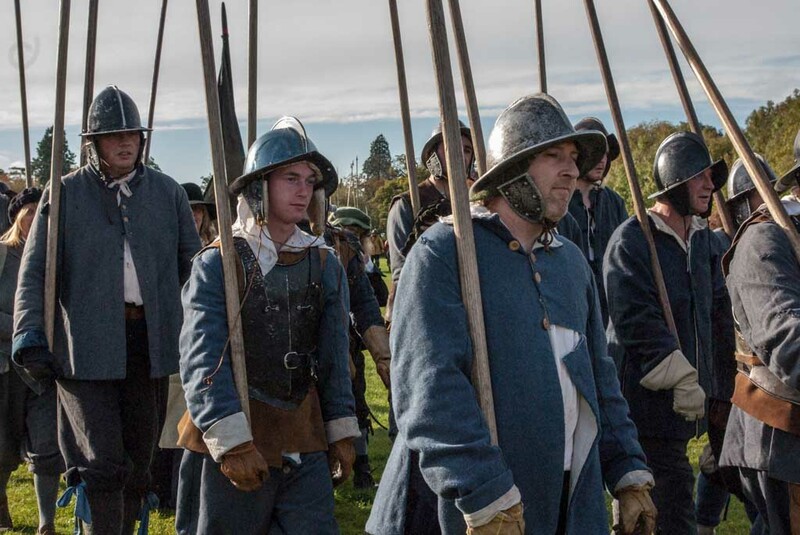 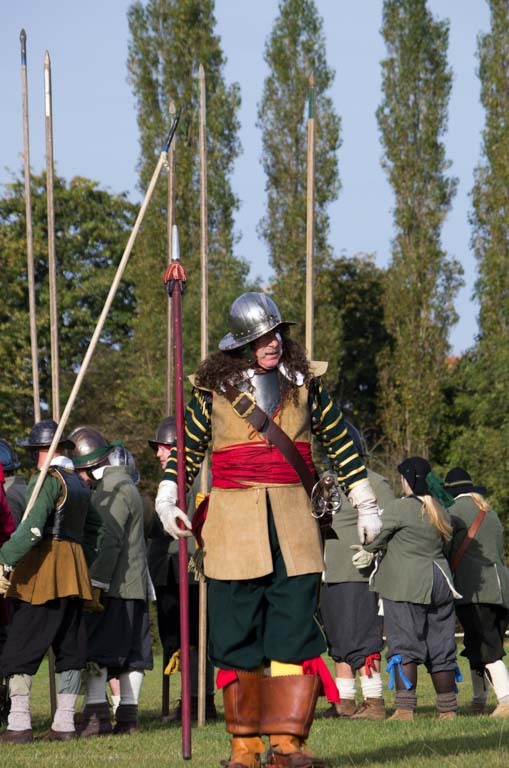 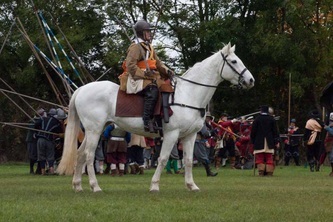 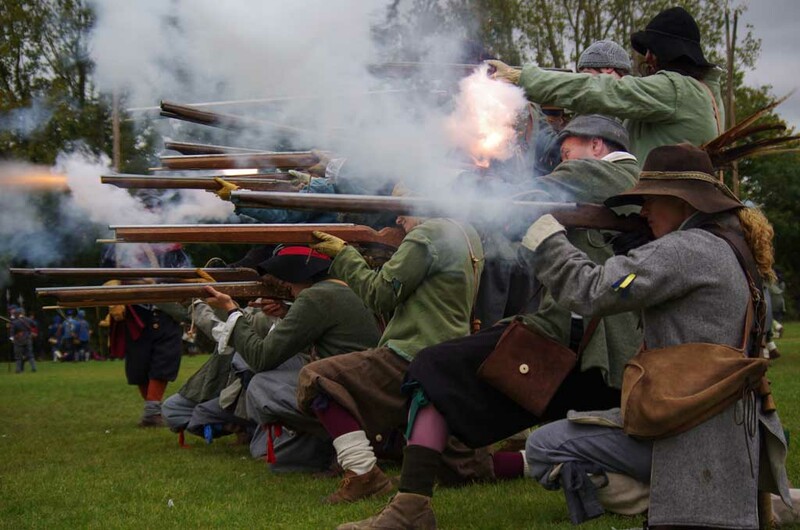 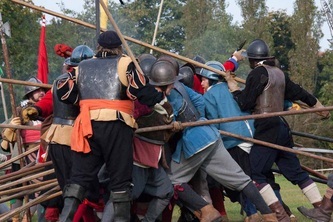 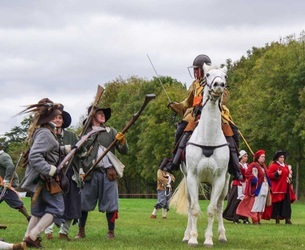 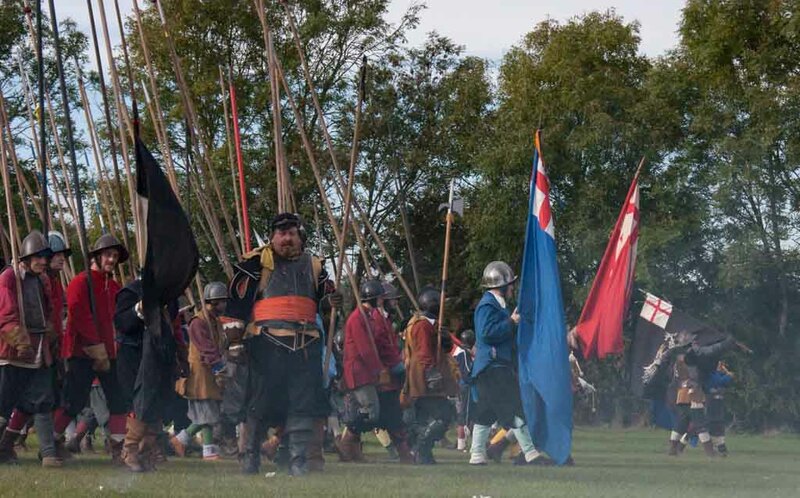 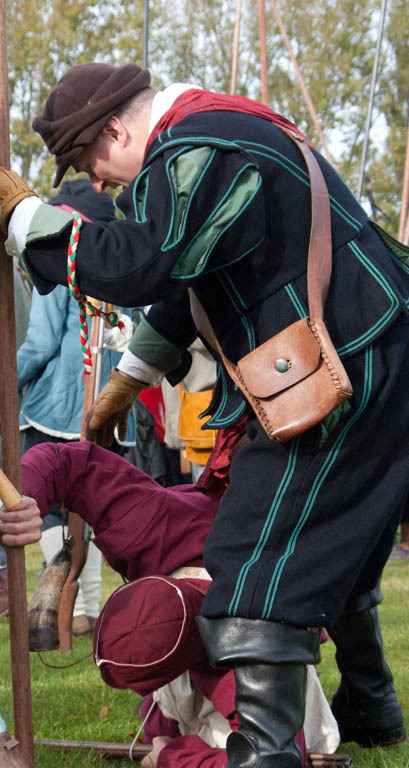 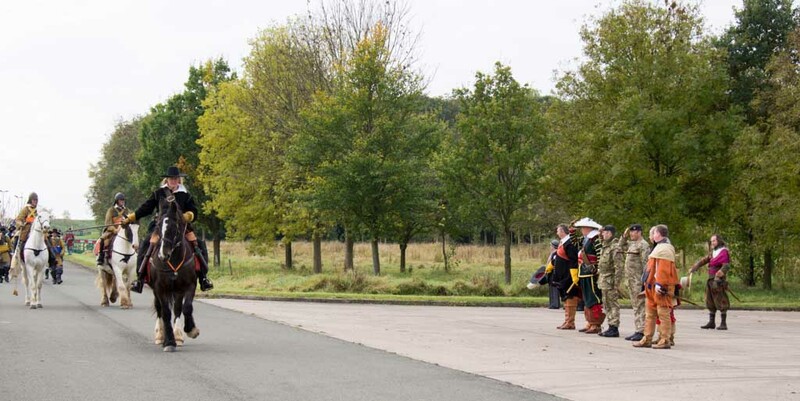 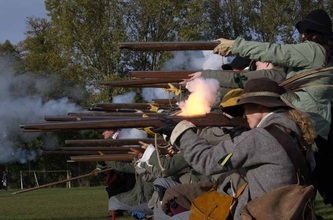 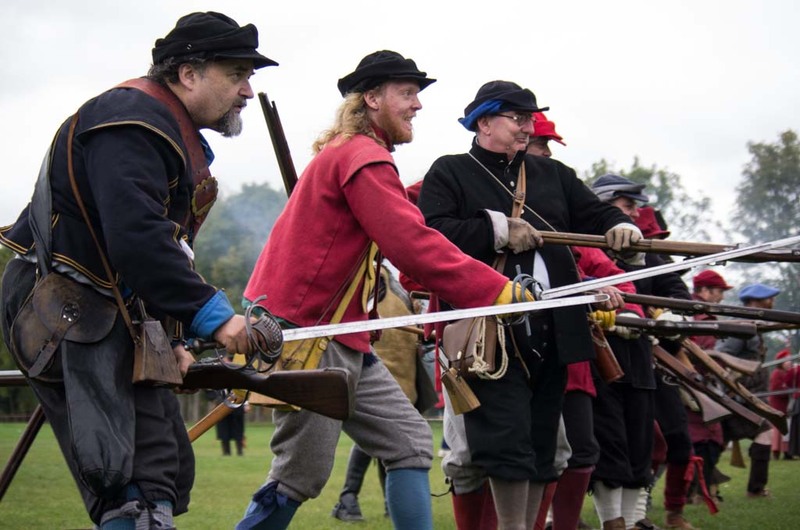 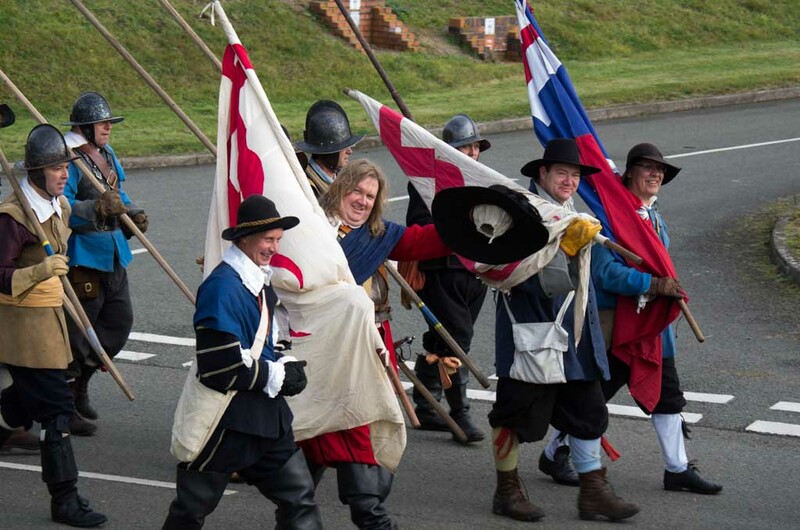 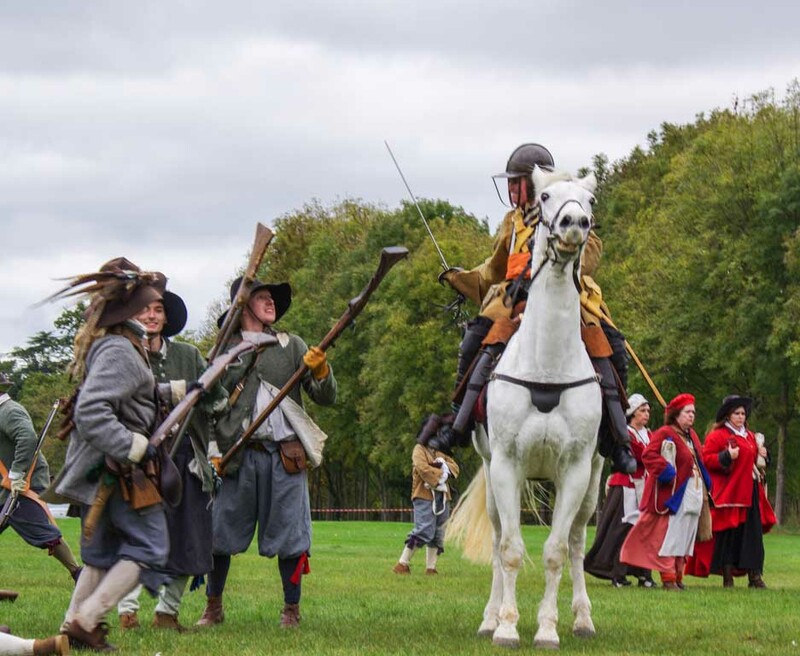 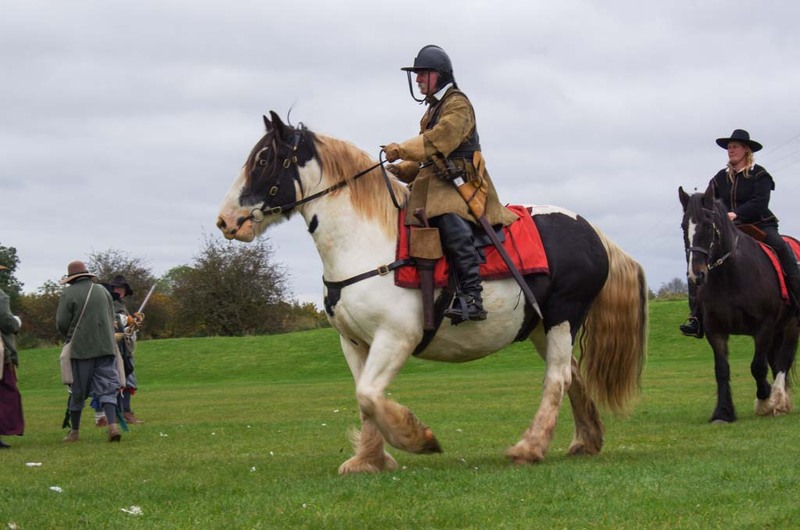 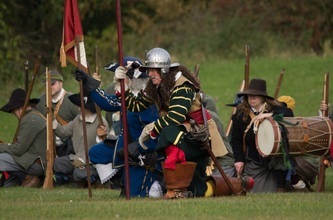 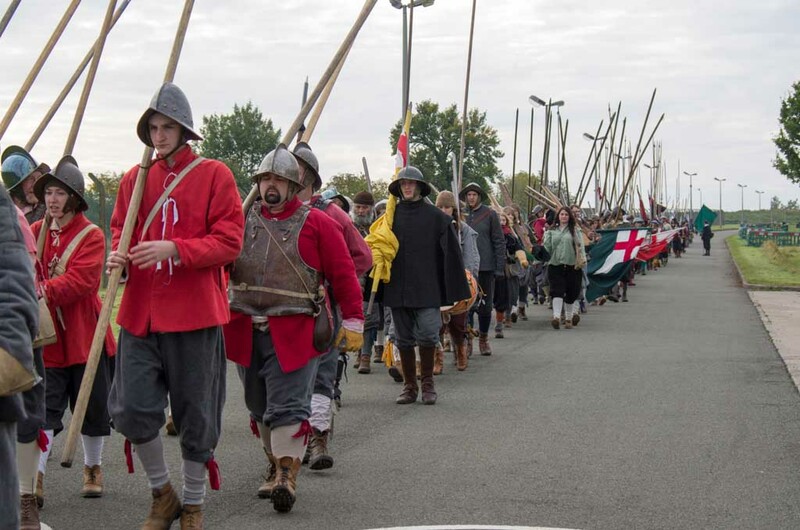 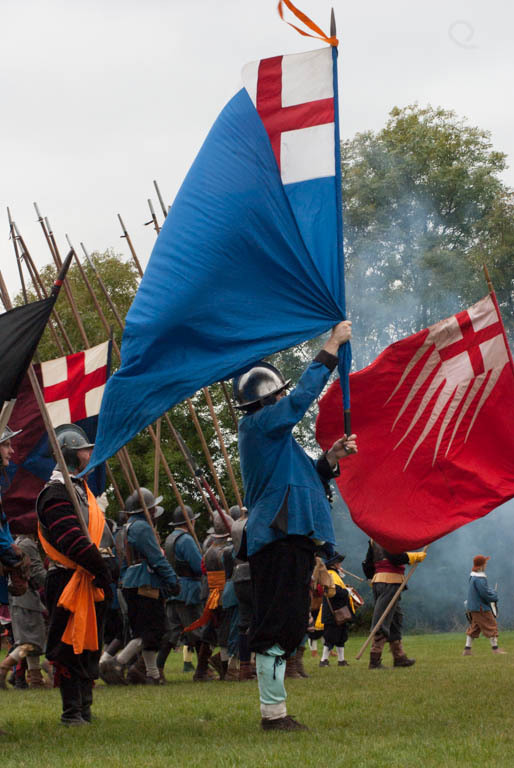 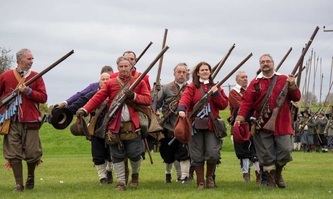 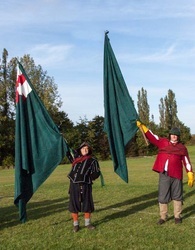 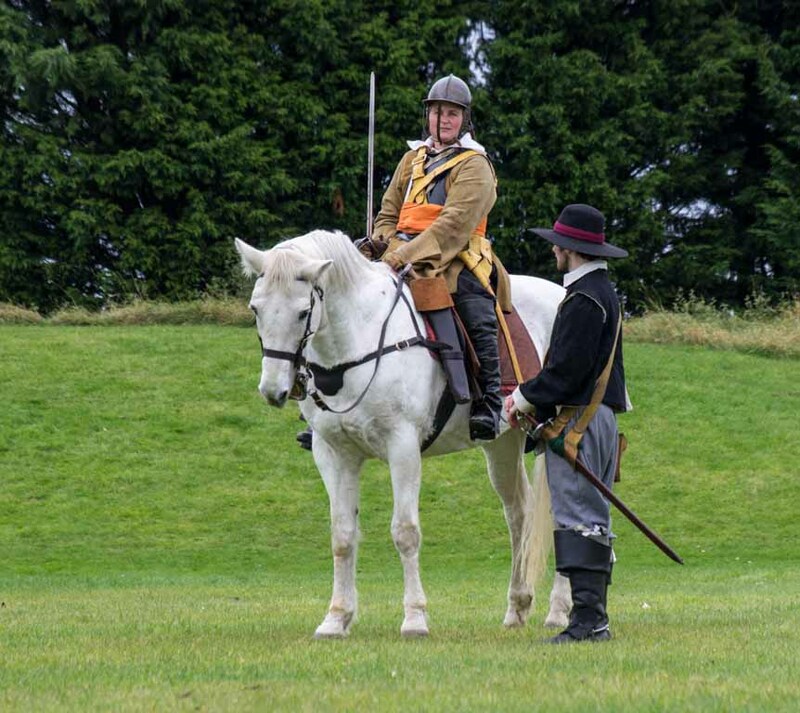 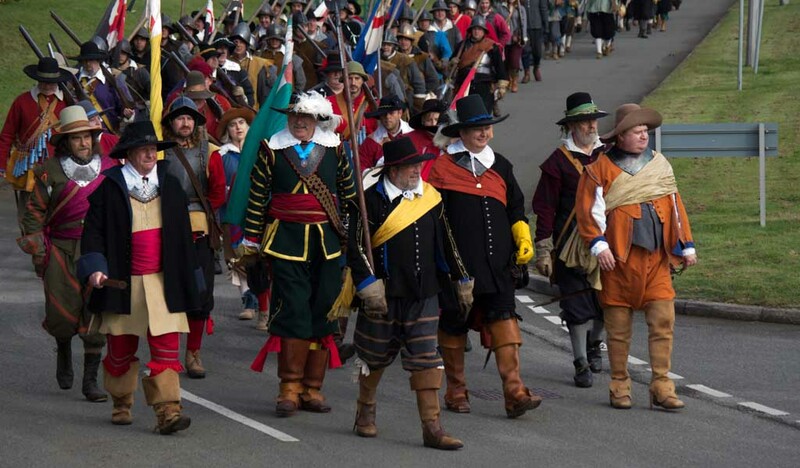 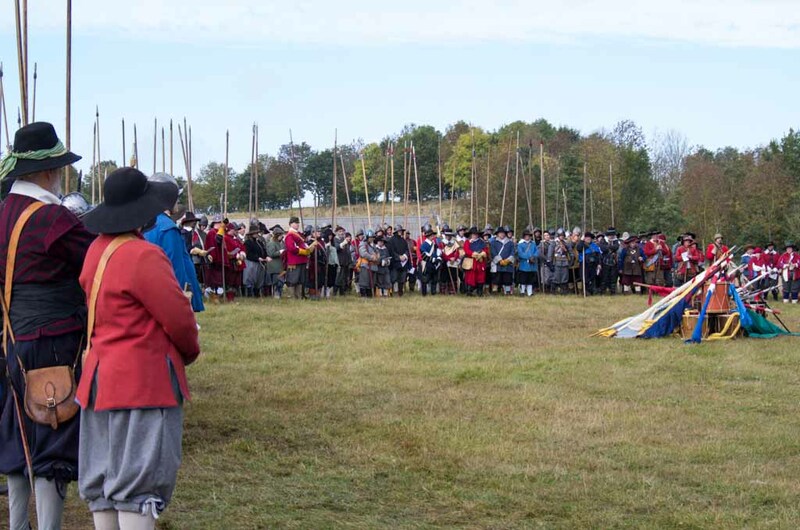 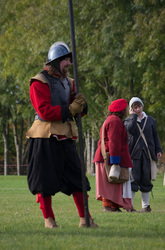 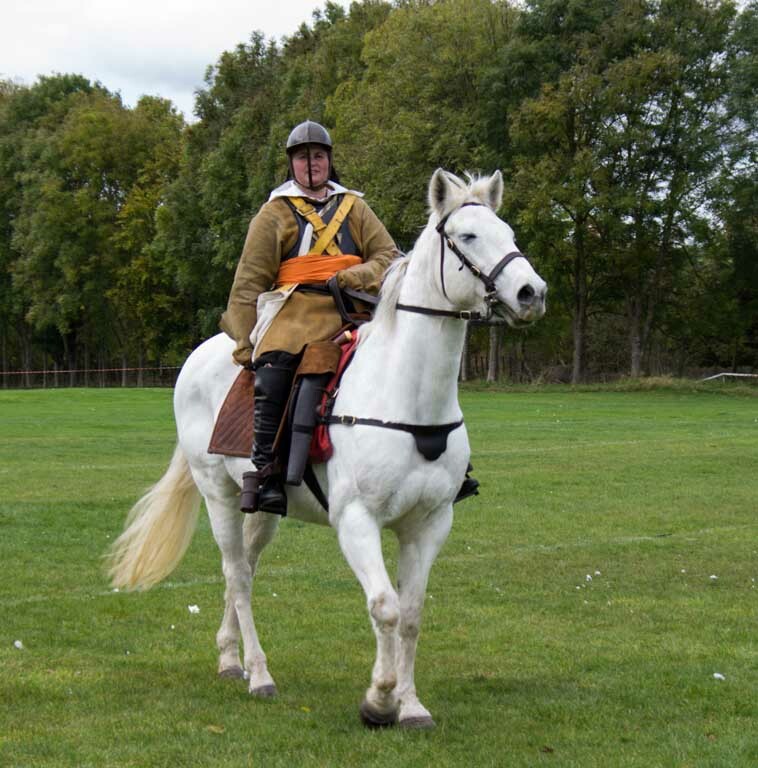 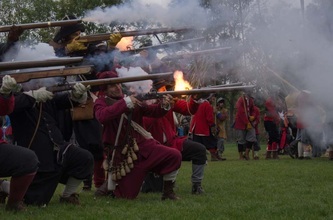 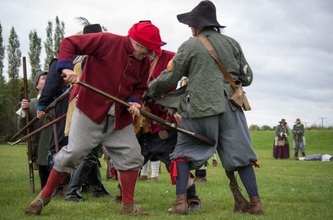 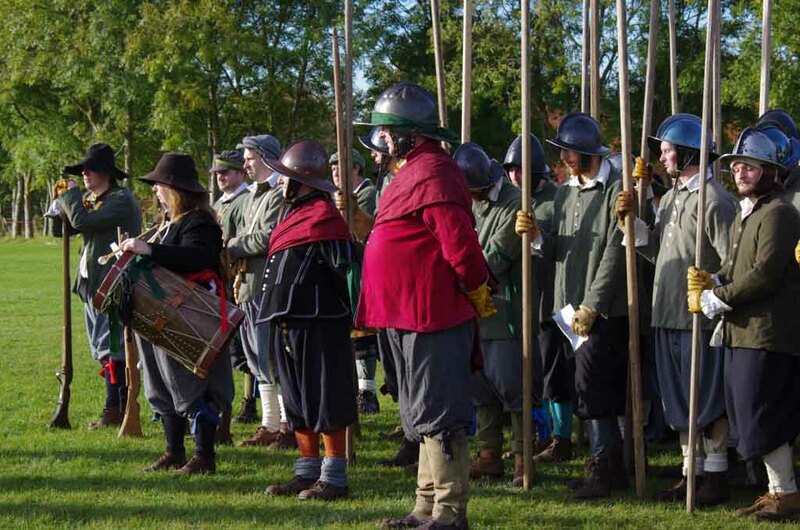 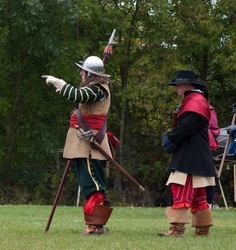 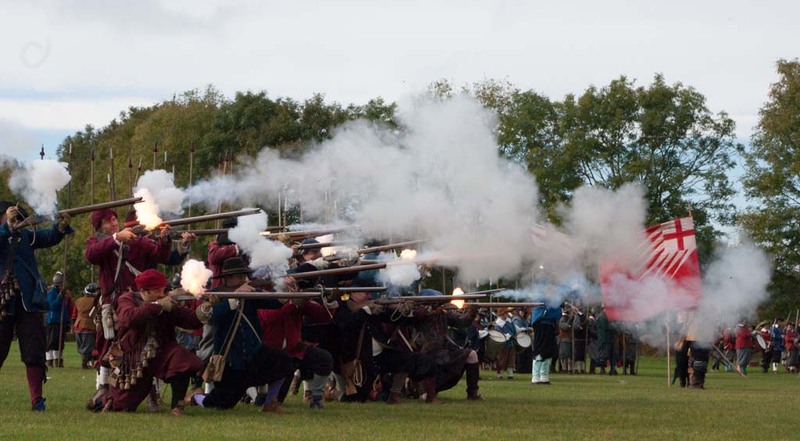 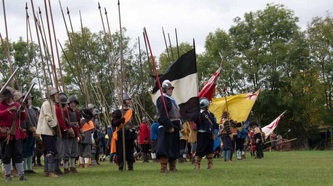 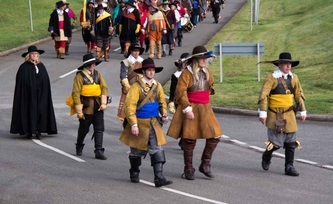 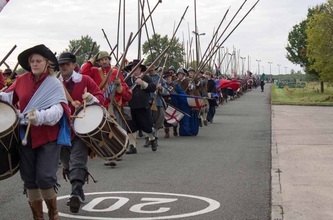 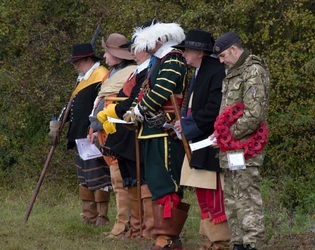 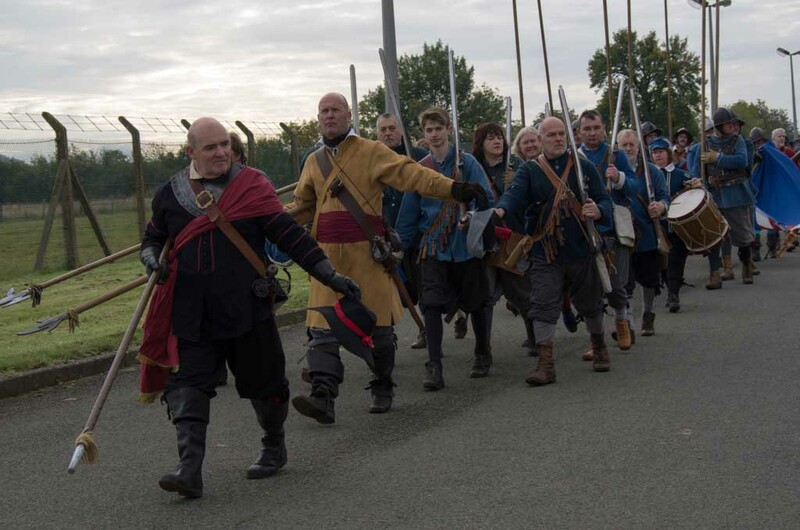 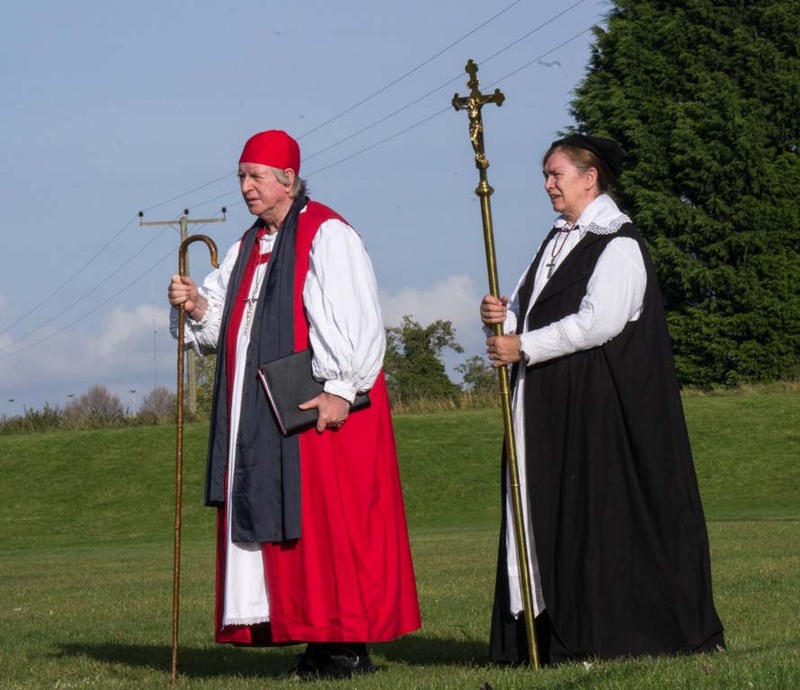 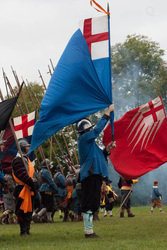 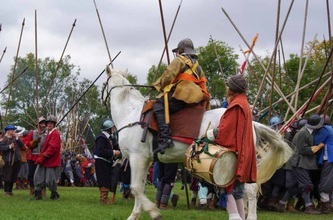 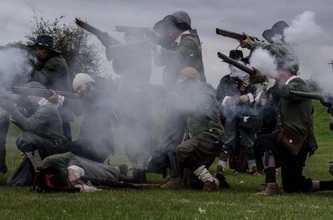 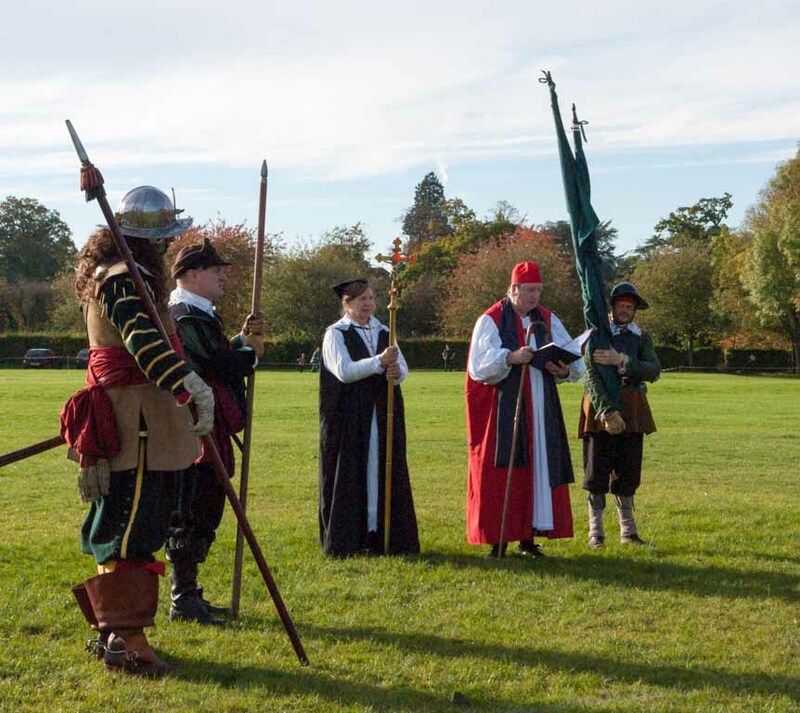 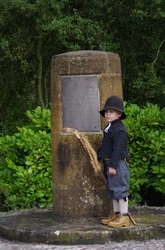 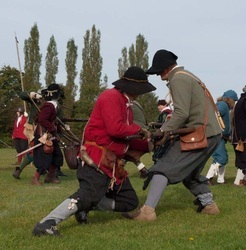 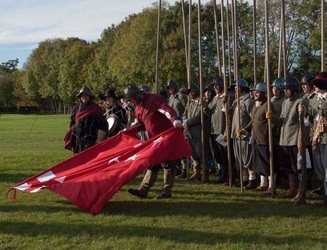 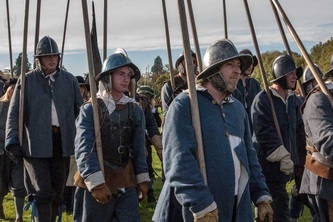 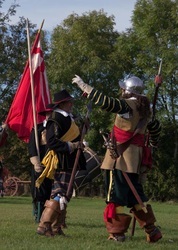 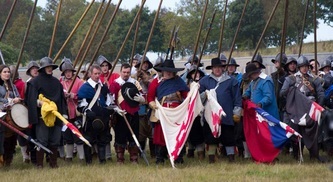 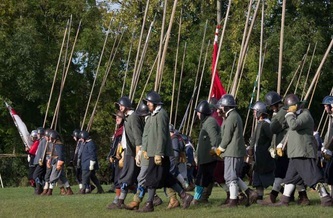 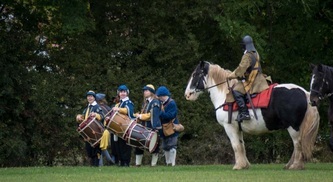 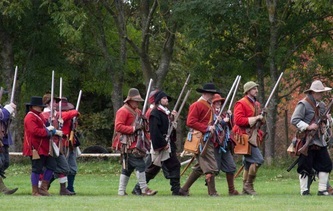 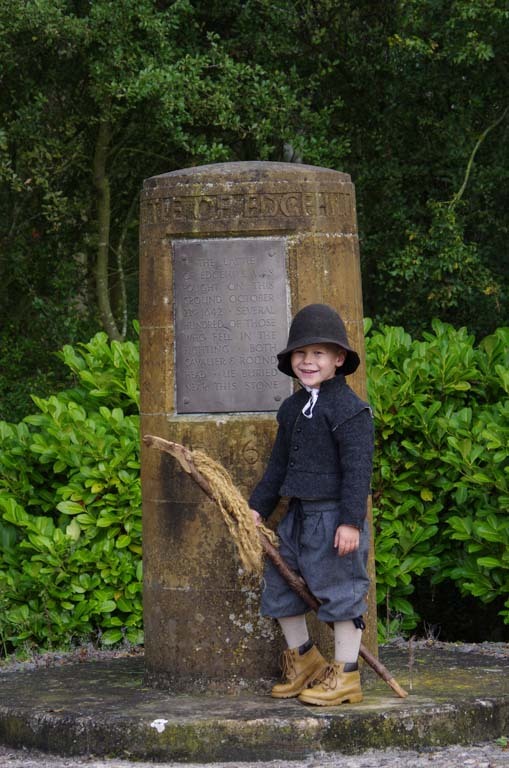 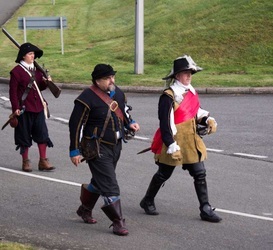 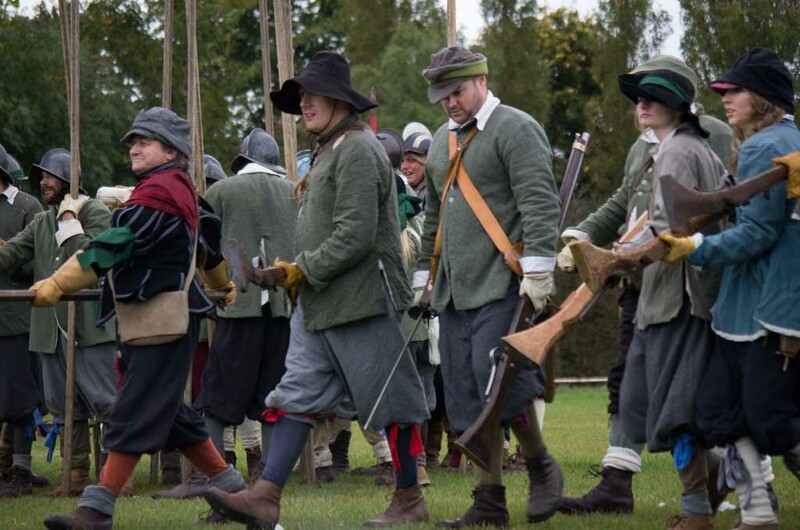 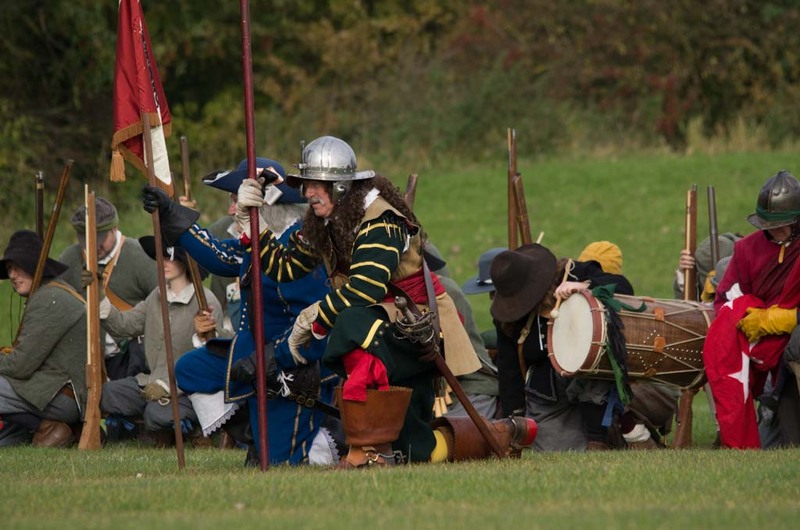 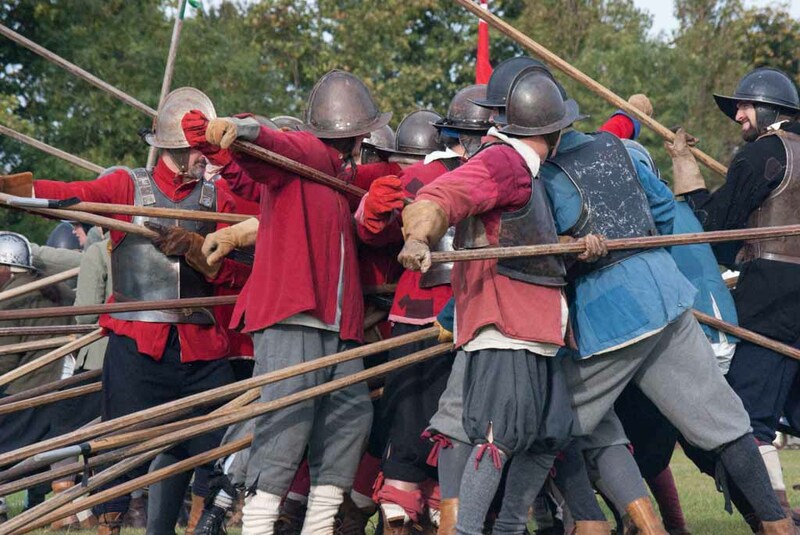 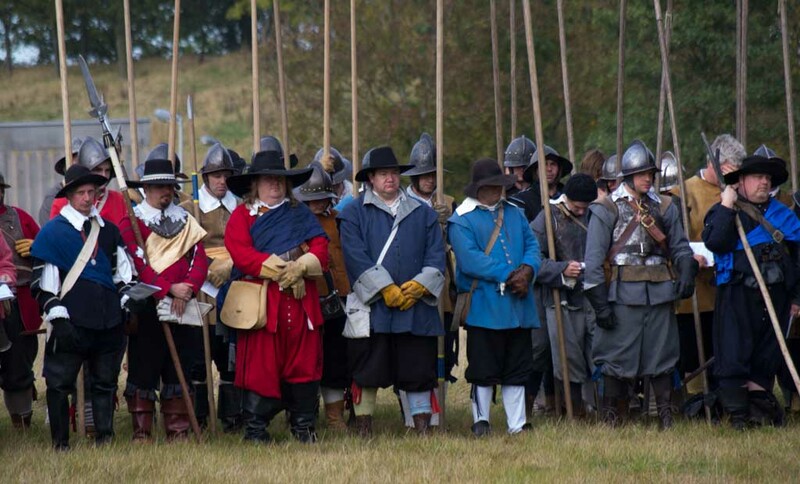 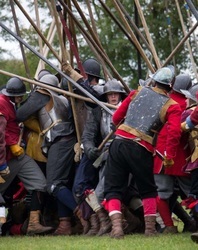 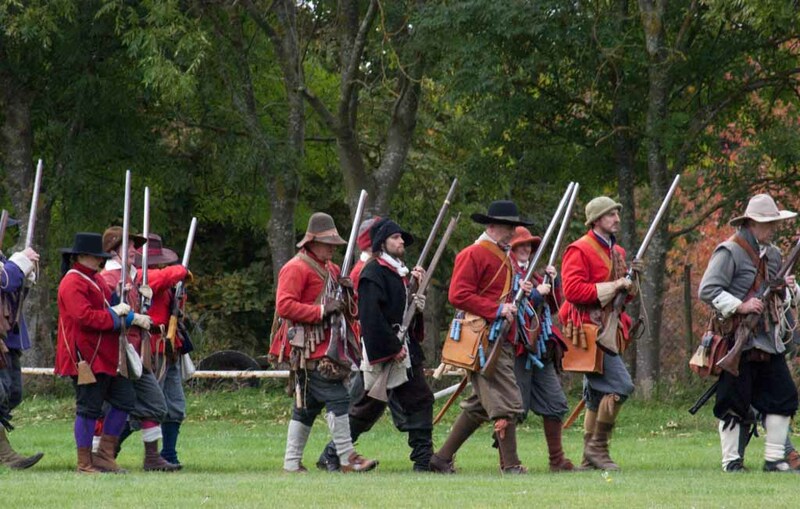 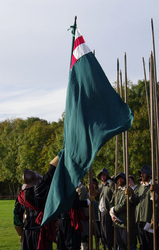 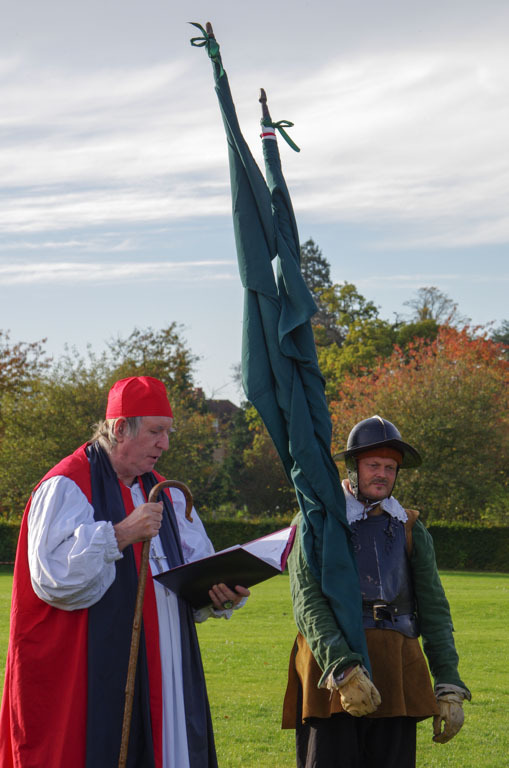 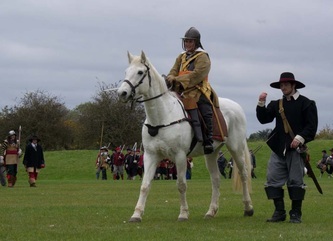 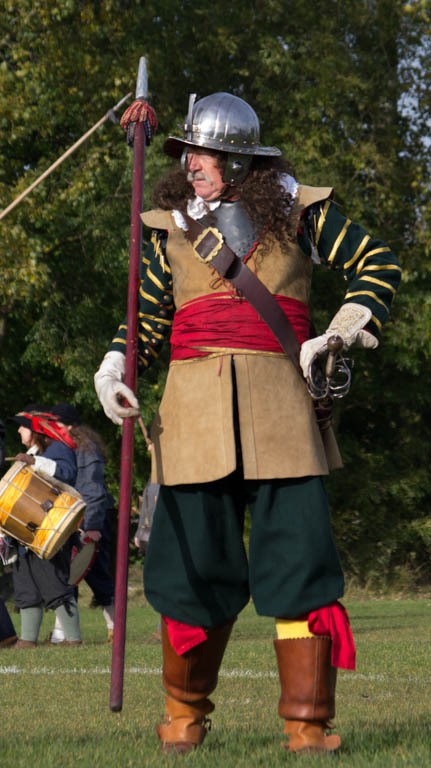 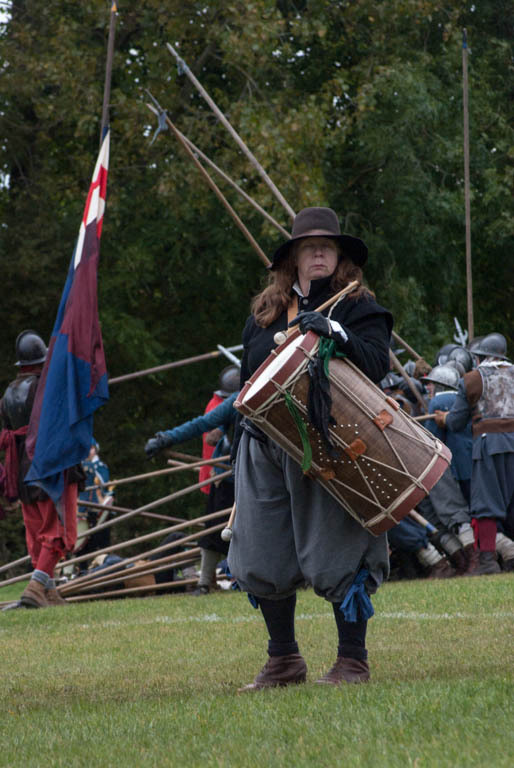 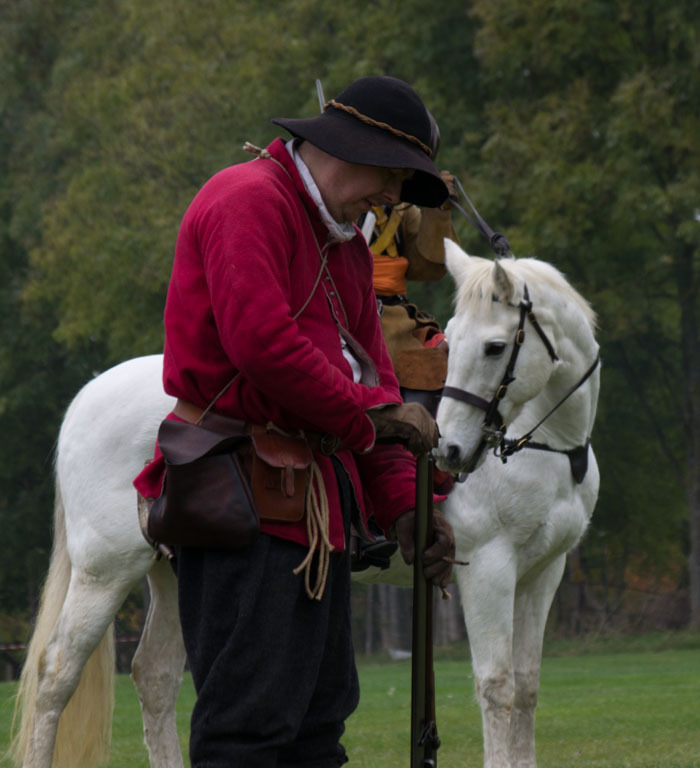 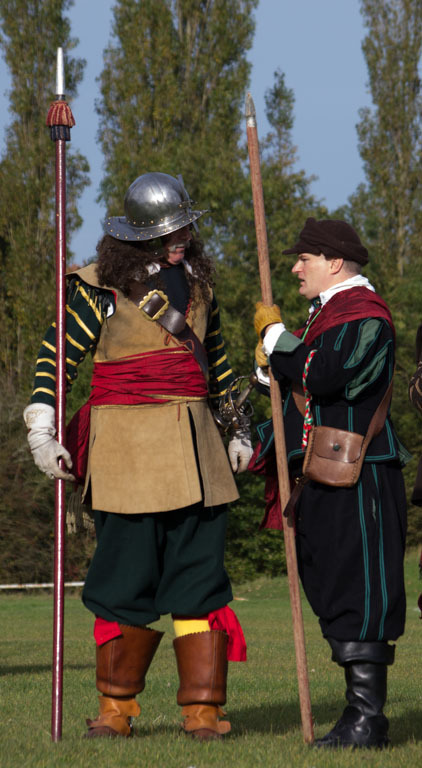 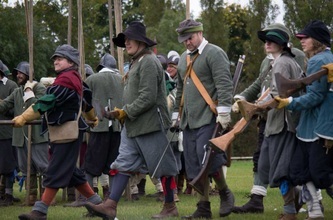 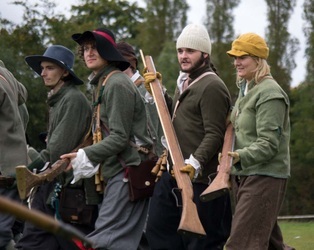 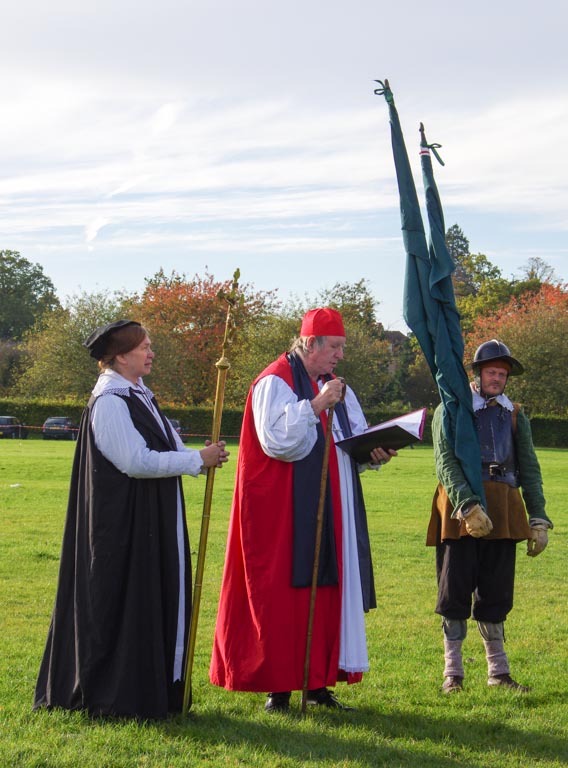 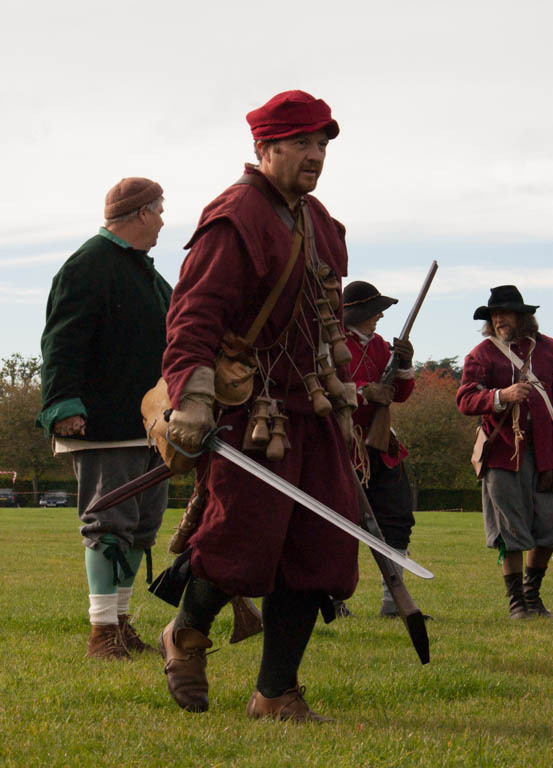 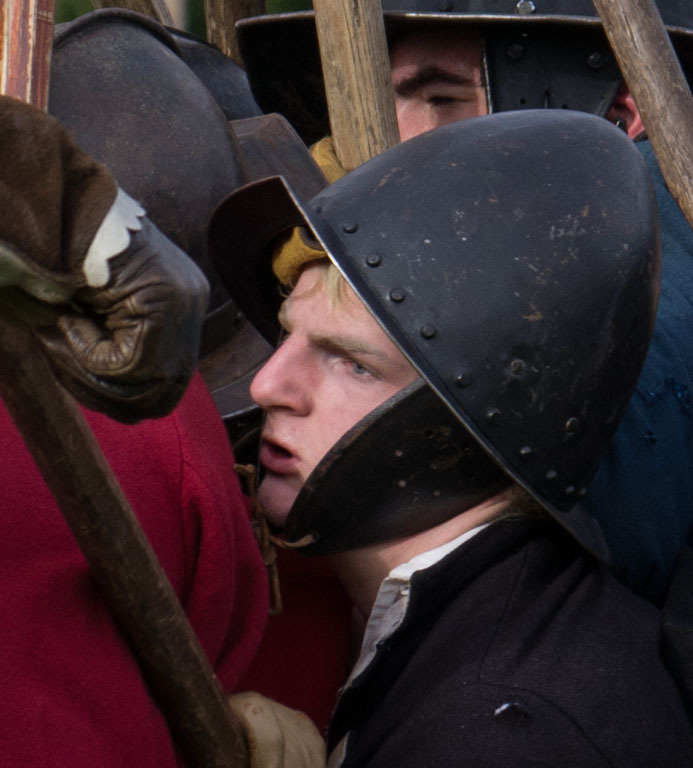 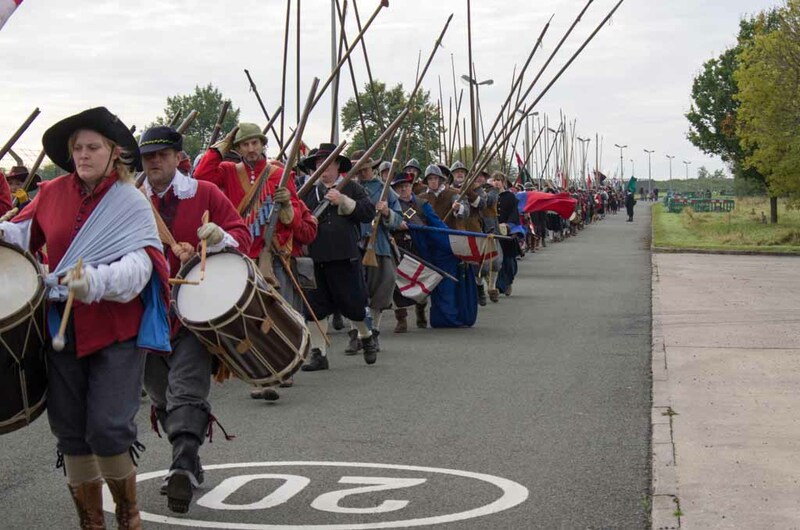 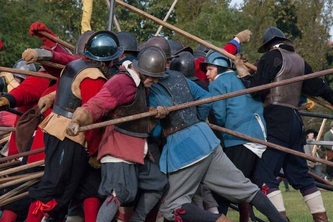 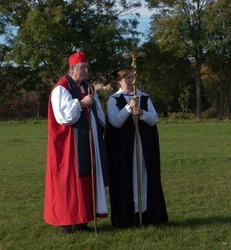 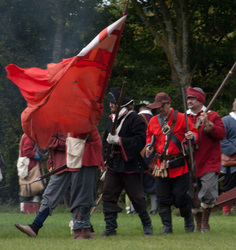 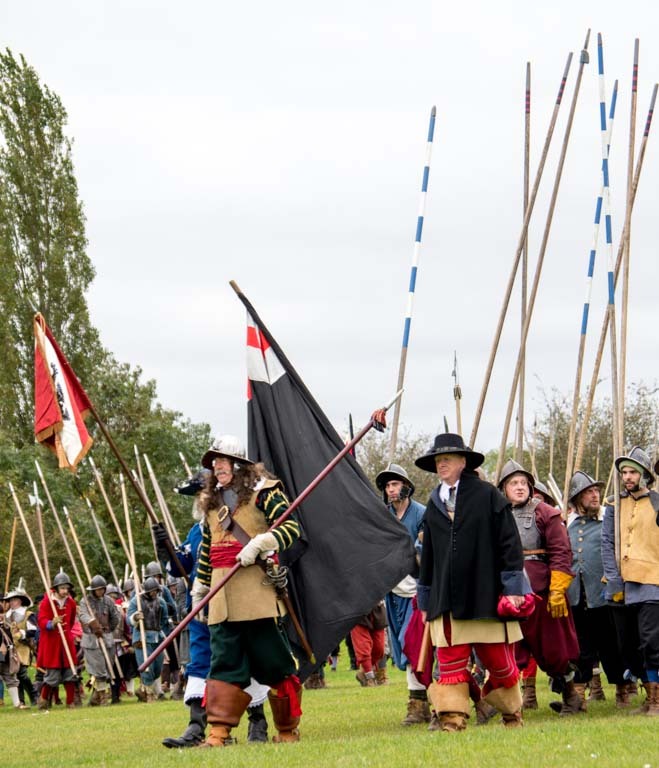 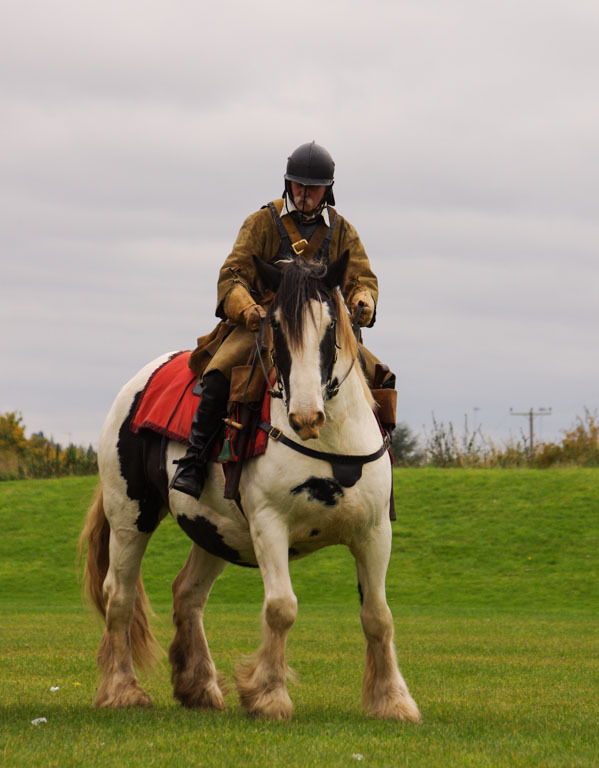 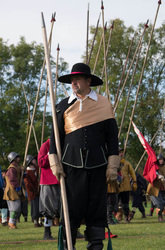 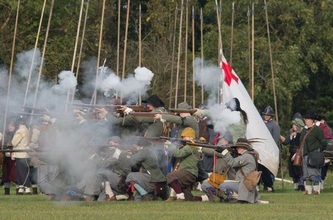 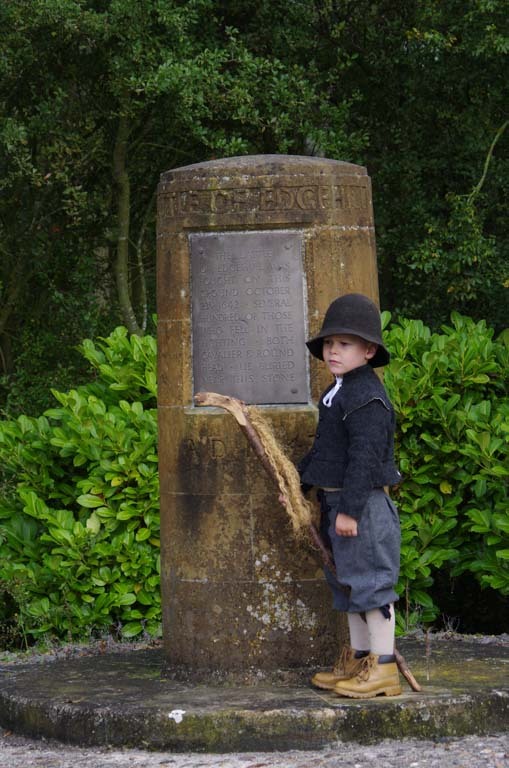 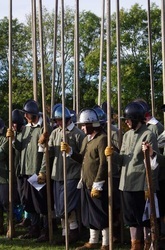 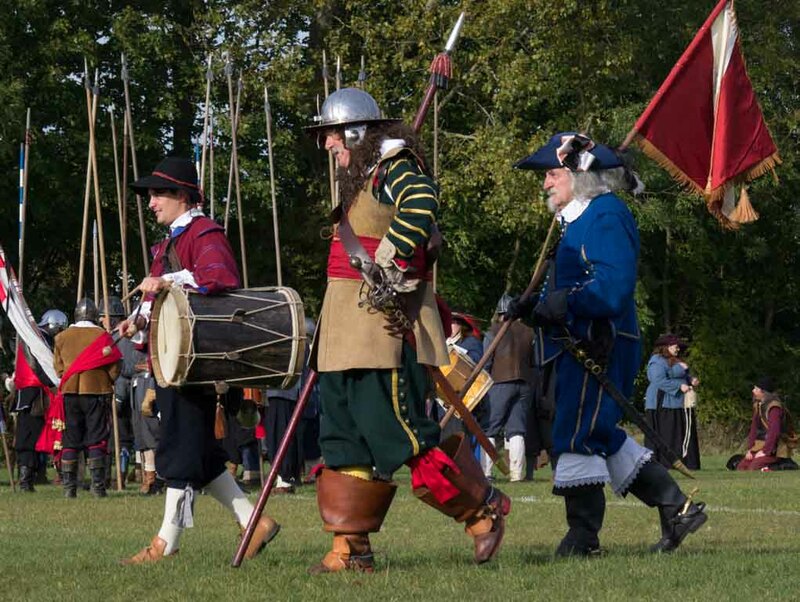 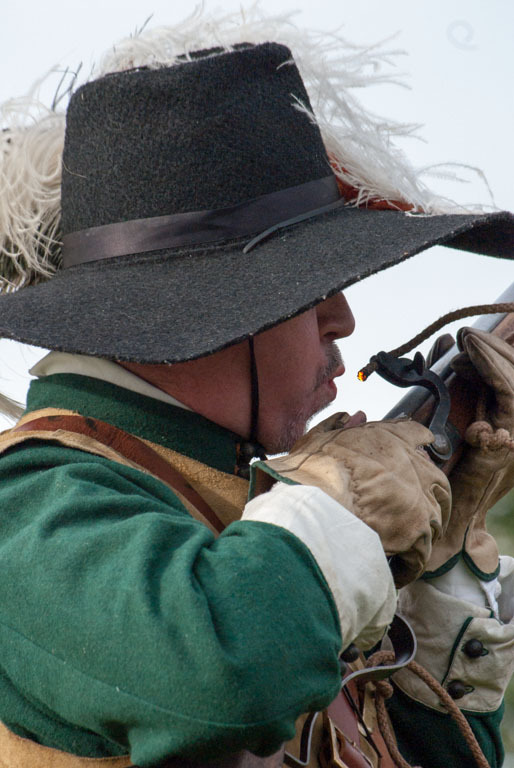 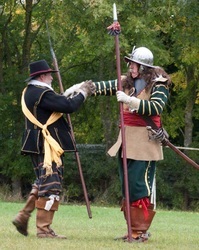 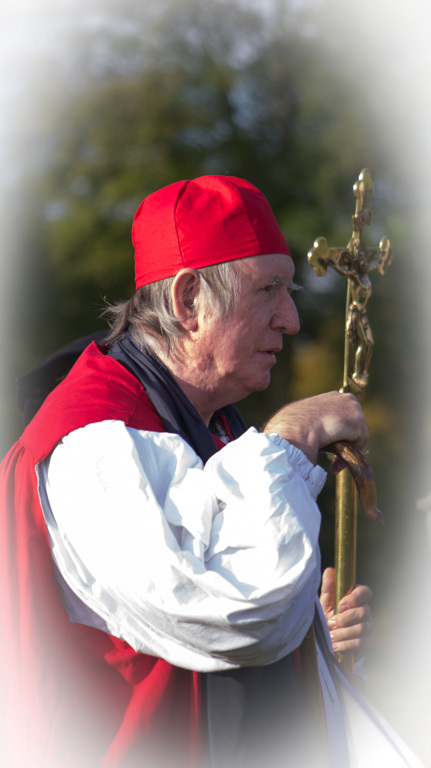 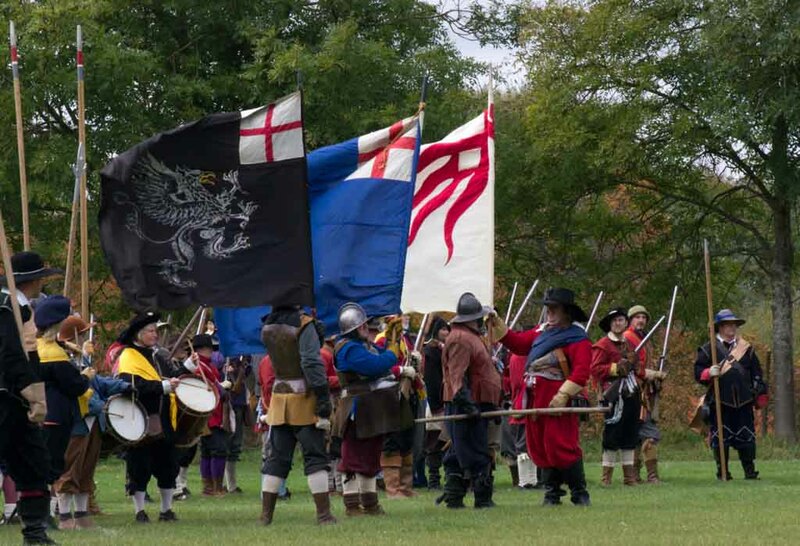 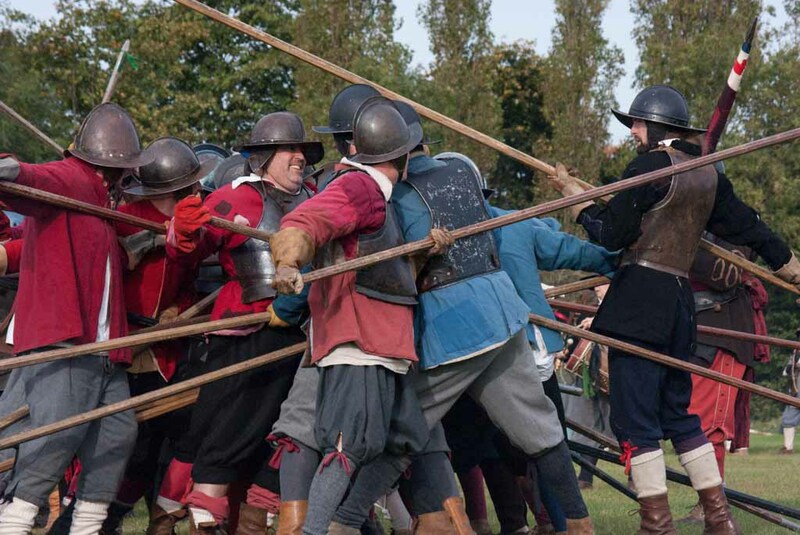 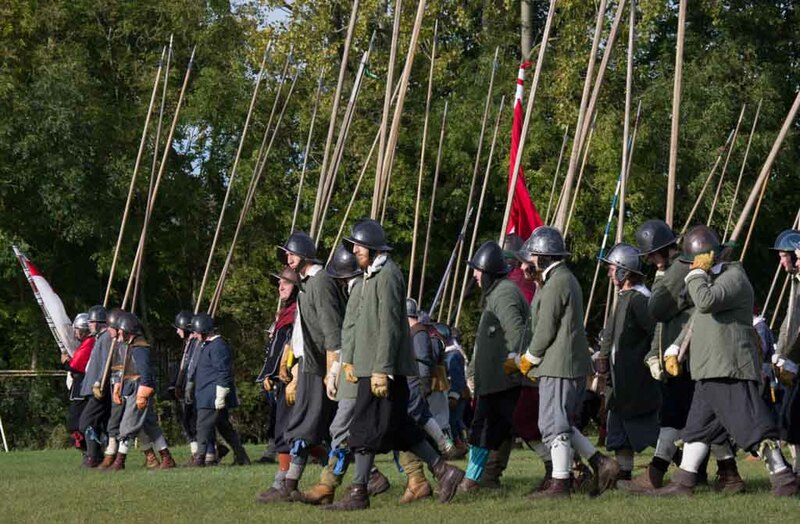 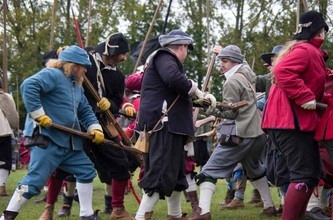 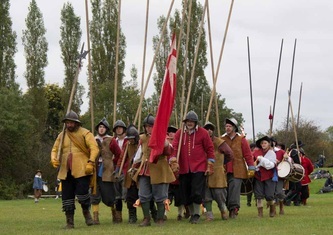 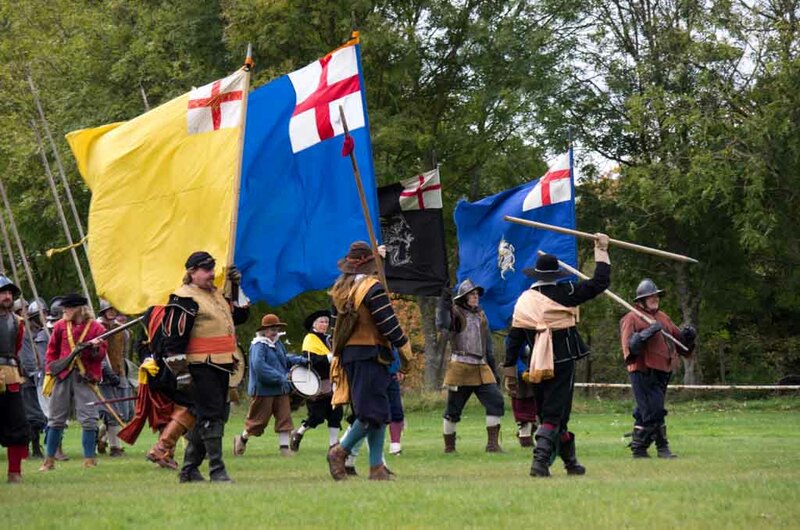 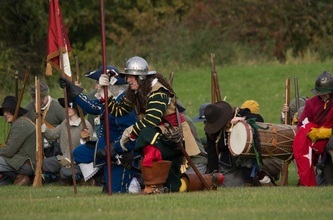 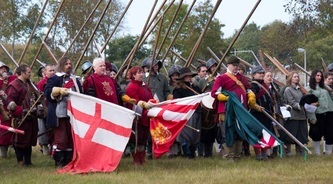 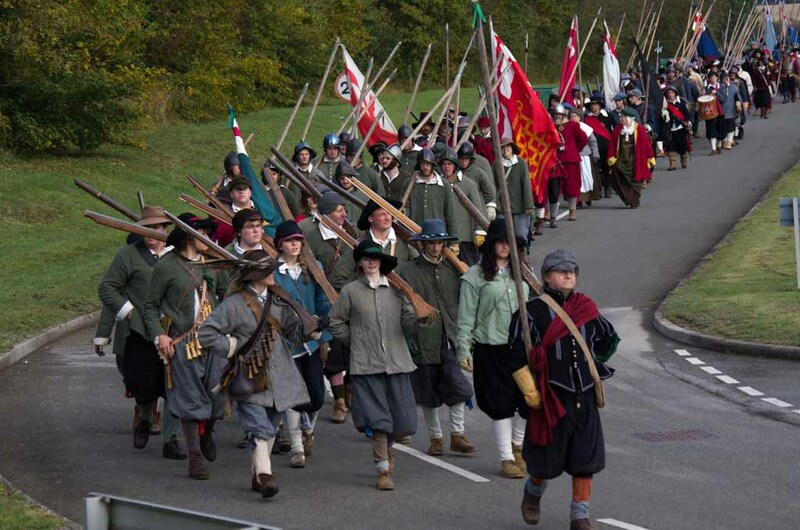 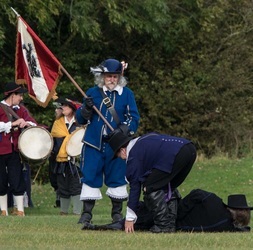 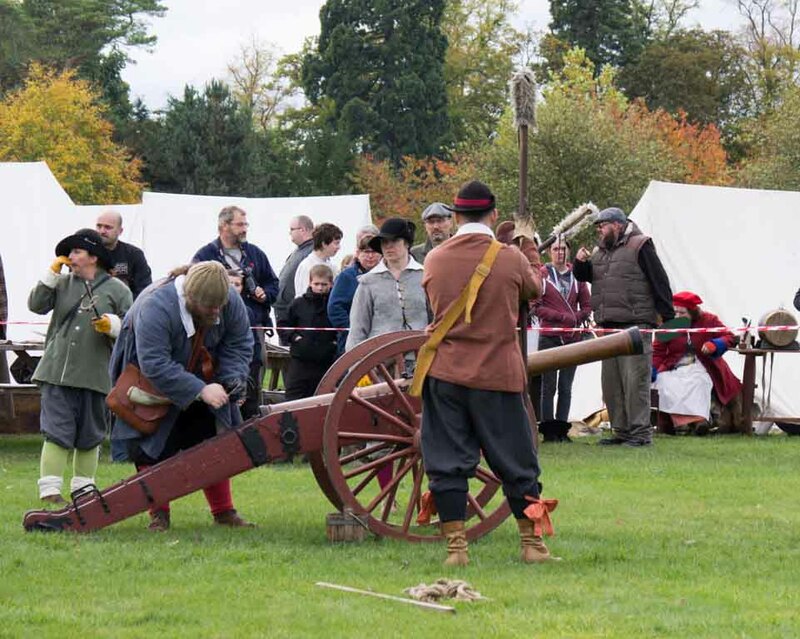 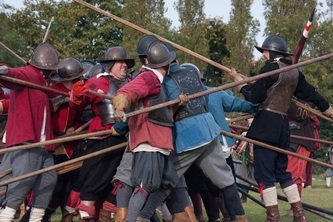 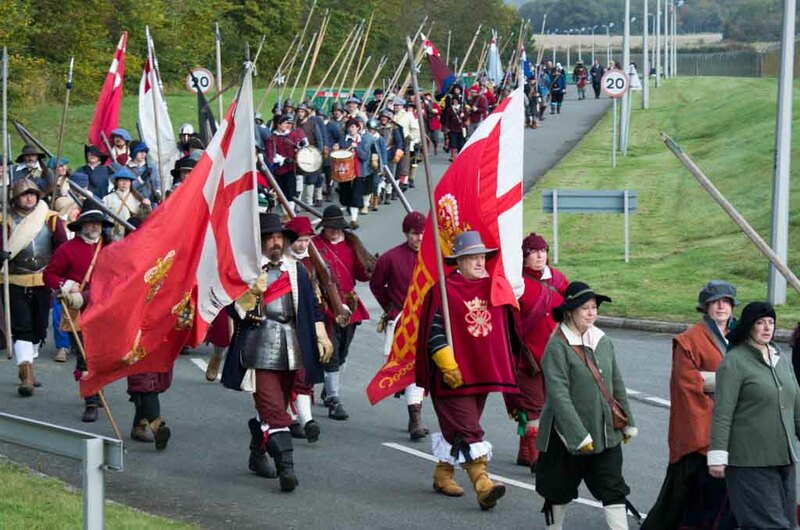 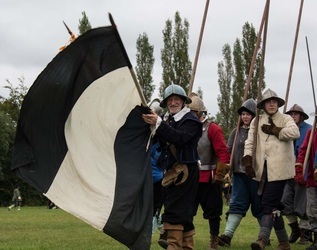 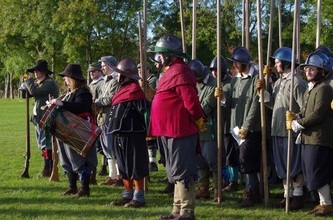 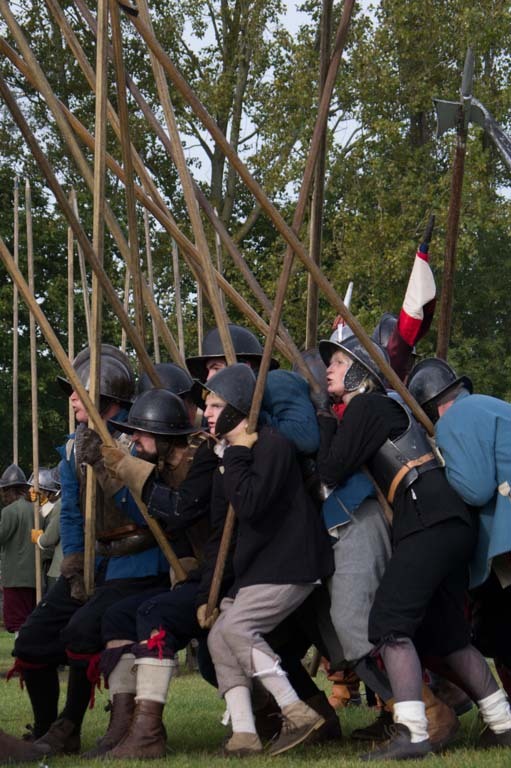 Very nice to see a great deal of 'Point of Pike' taking place during the skirmish on saturday, it looks good, not not just good, it looks great. 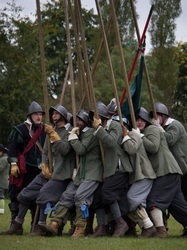 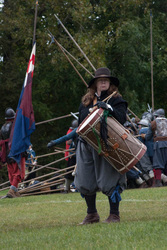 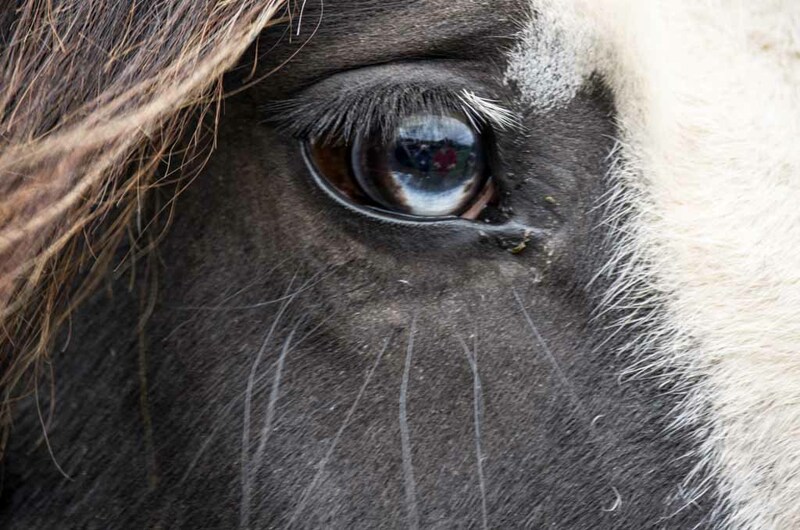 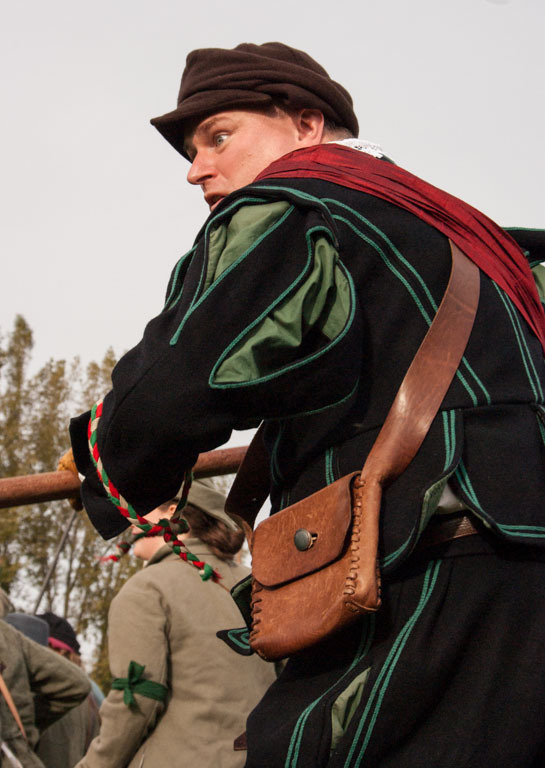 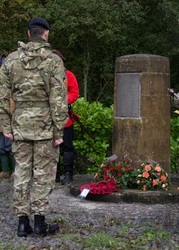 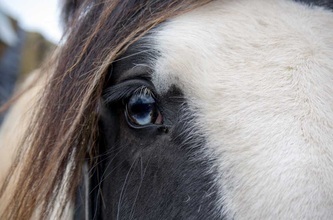 Can't recall seeing much of it on Sunday which was such a pity as its far more 'warlike' than the 'push'.